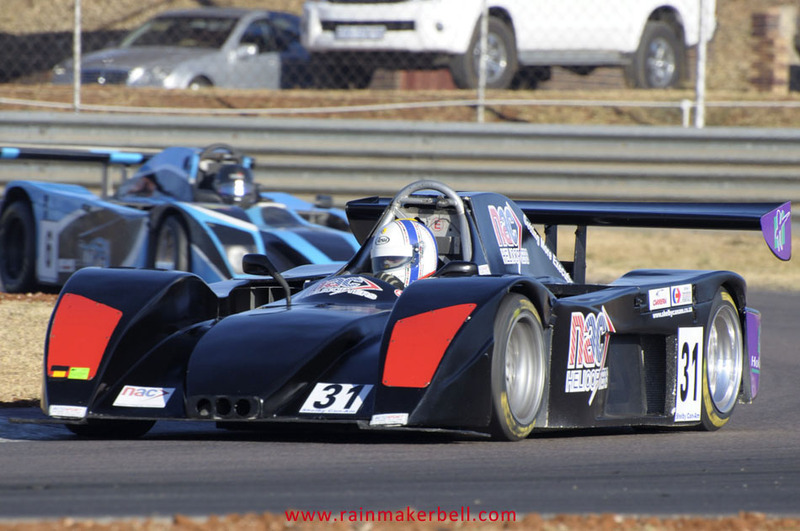 Saturday, and the winter morning air is filled with anxious anticipation—race day! 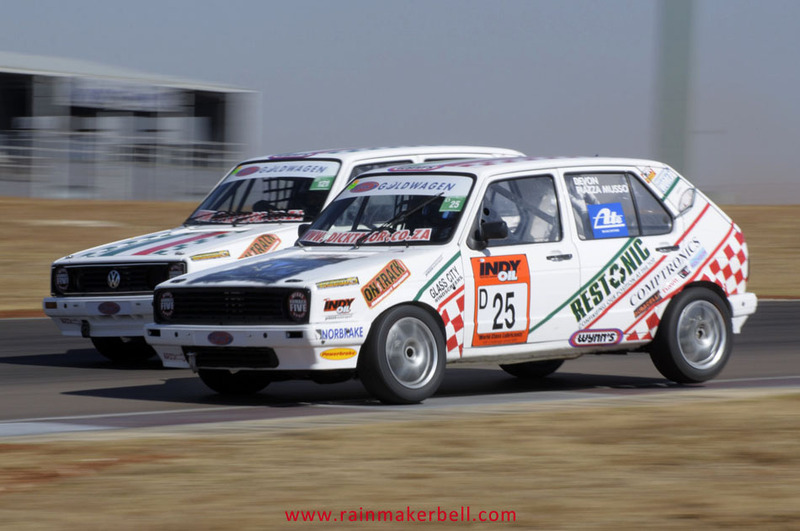 There is something about motor racing that connects us all; the epicentre of life itself. 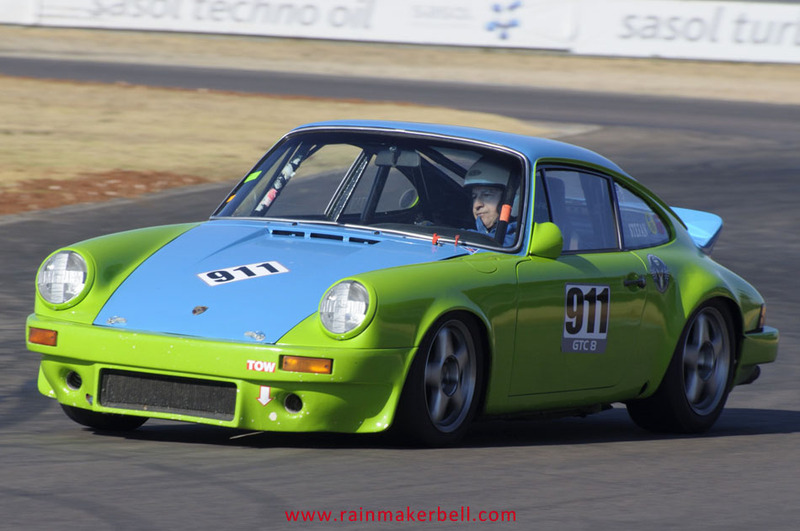 Most ages, even the very young seem to love it as much as ice cream on a hot summer day—the more you lick it the better it gets. 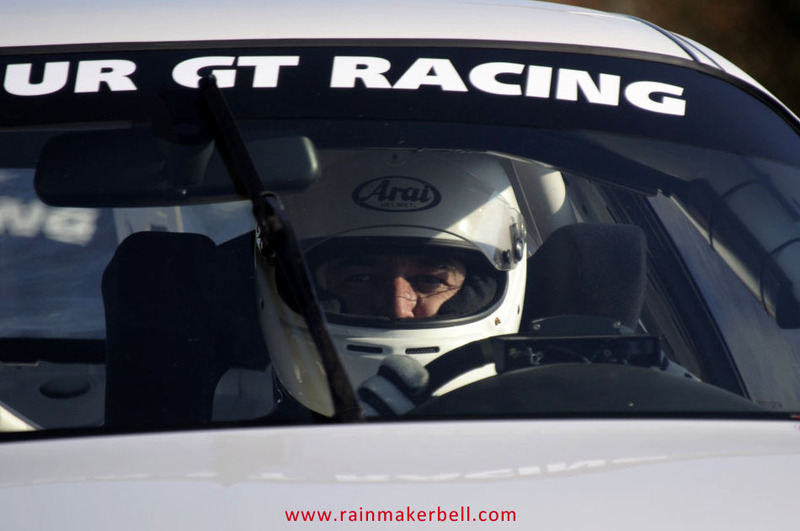 Different people like different sports; but most people are spellbound when ostentatious, super fast cars with their overwhelming engine roar, come pass at a speed that makes your quiff loses its original style. 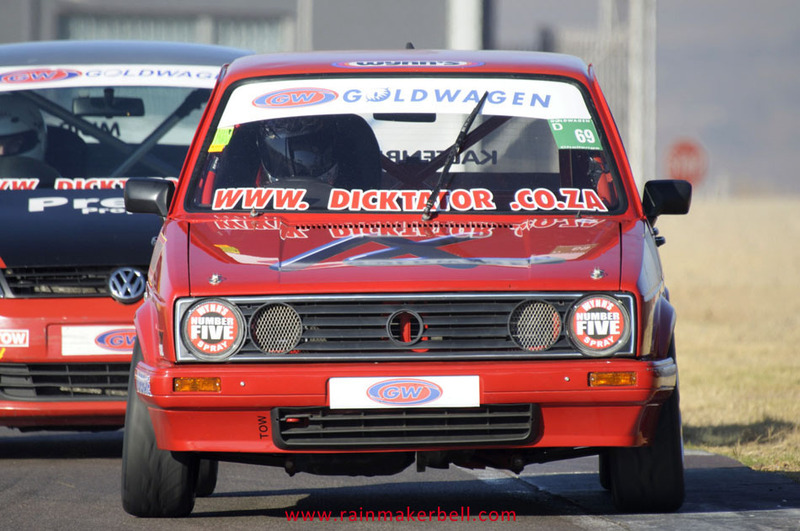 Right there and then you feel so disgruntled with your own life—animosity towards your own jalopy fills your mind. 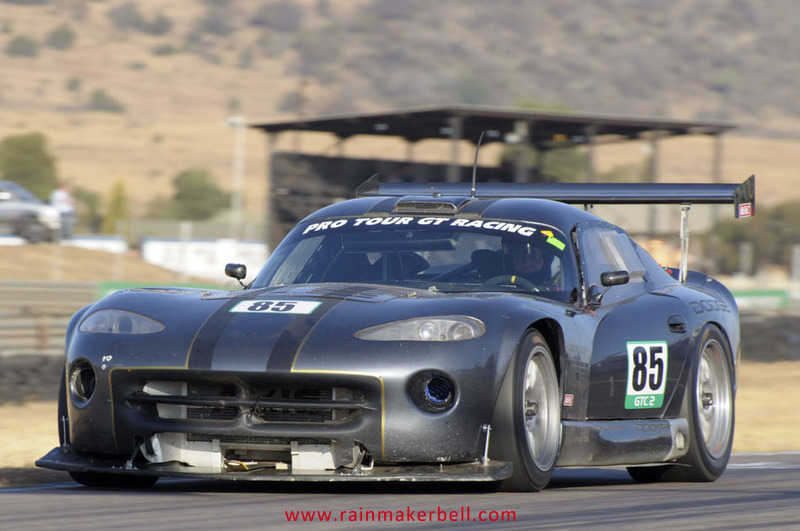 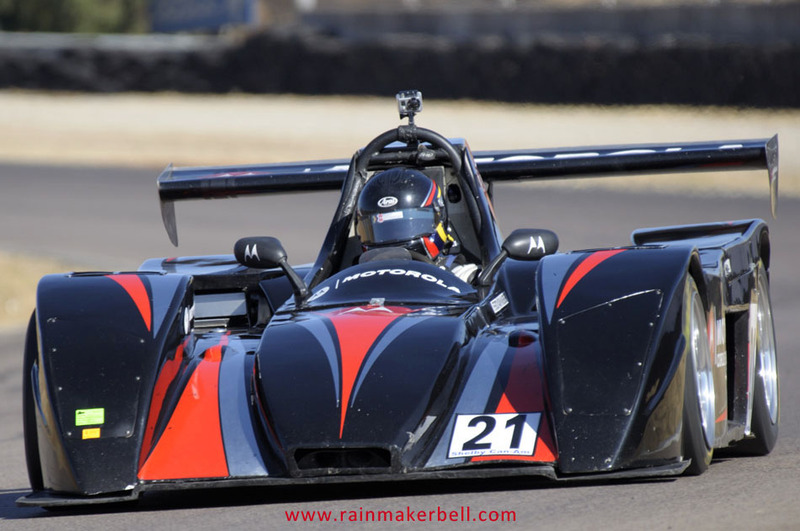 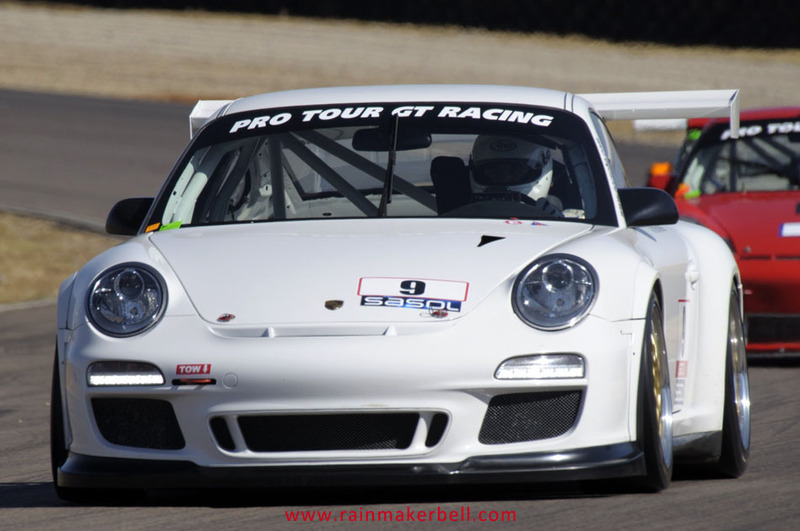 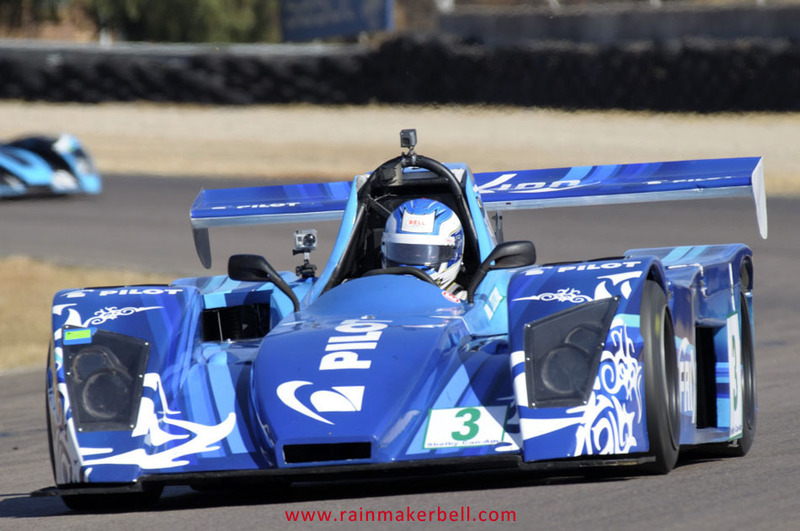 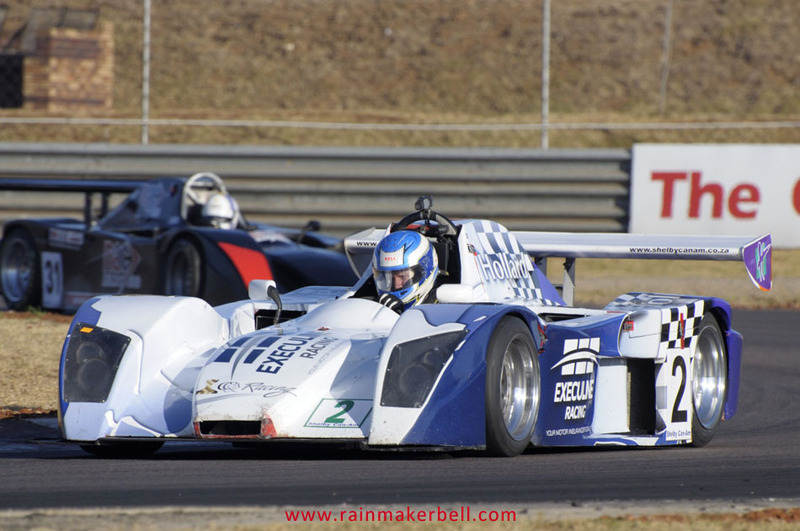 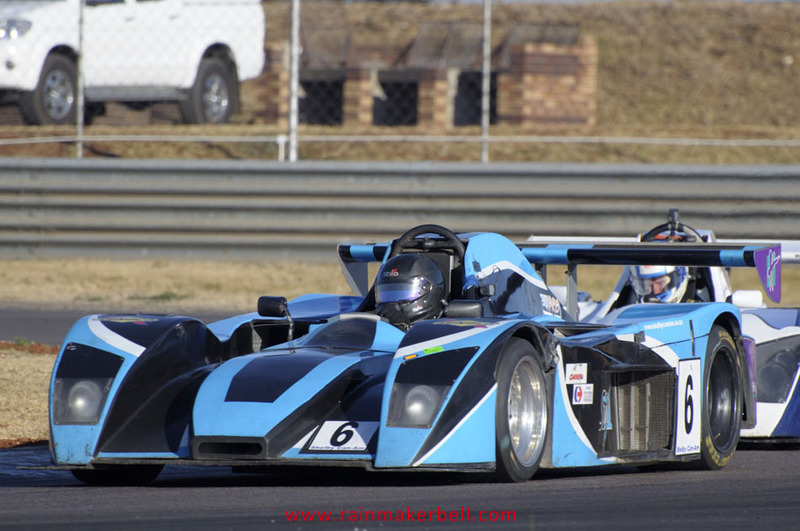 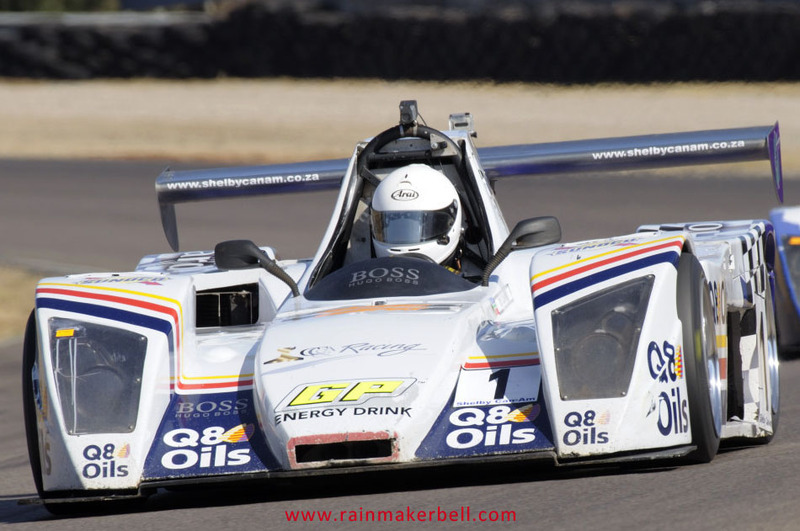 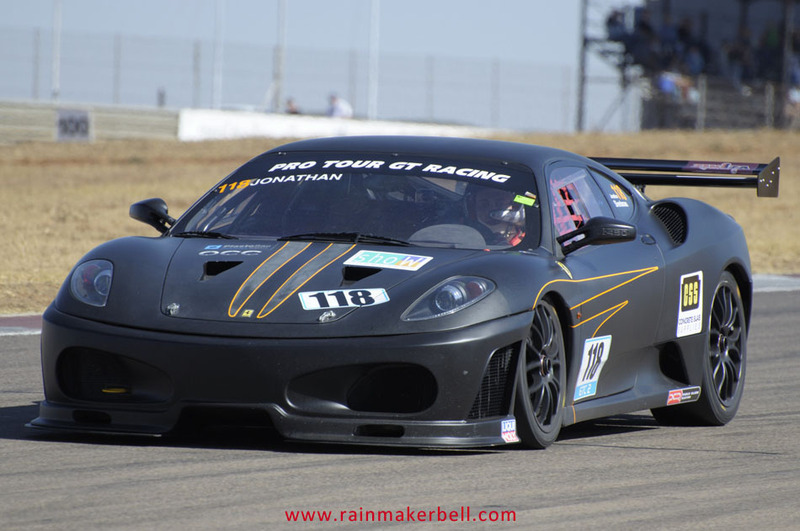 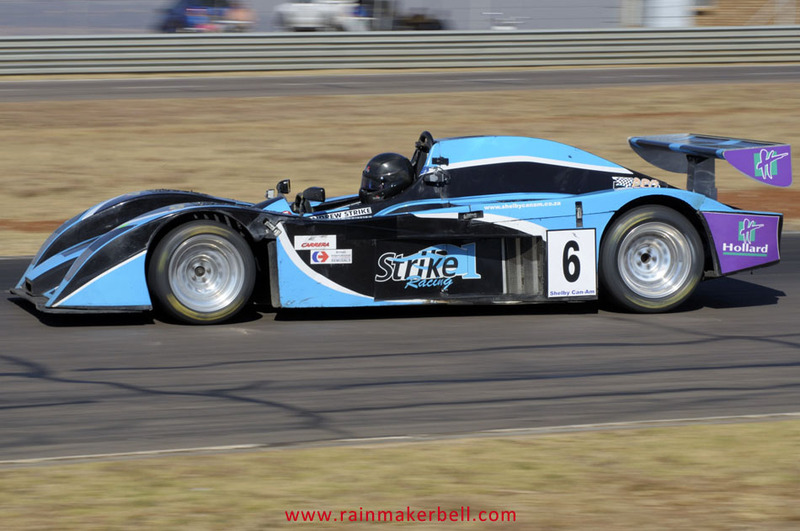 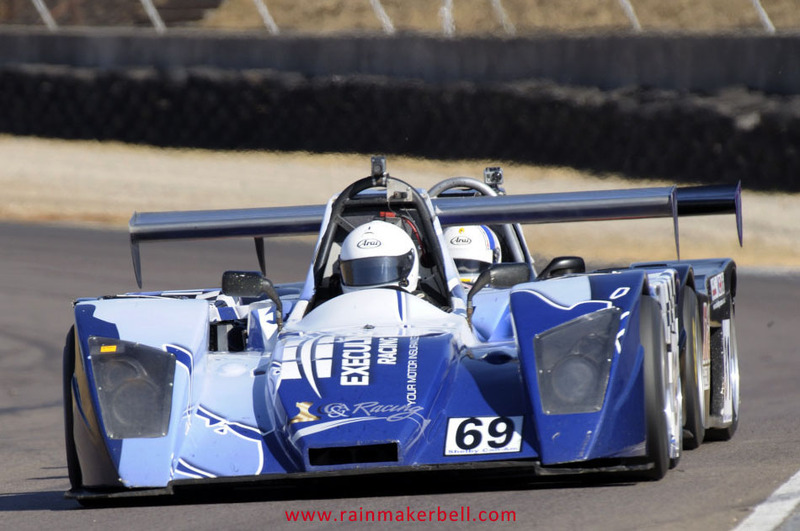 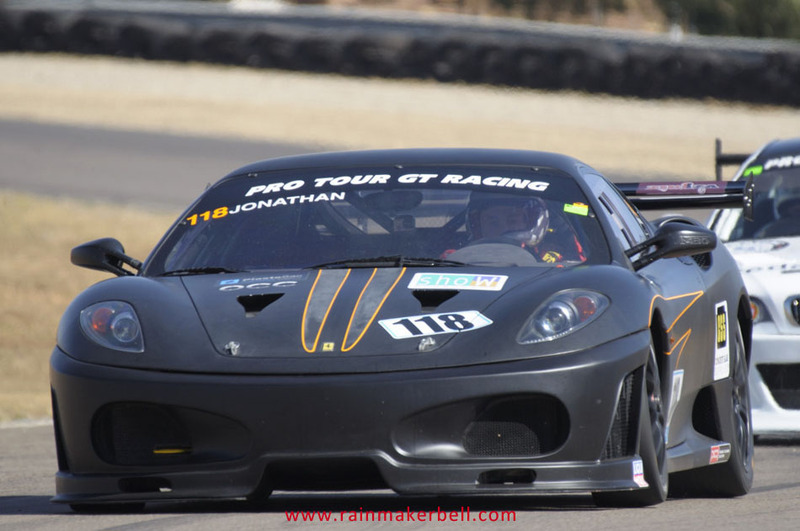 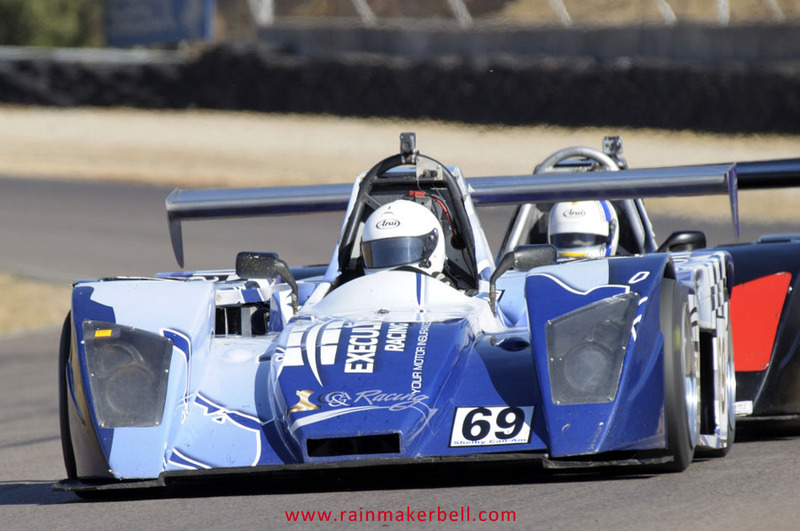 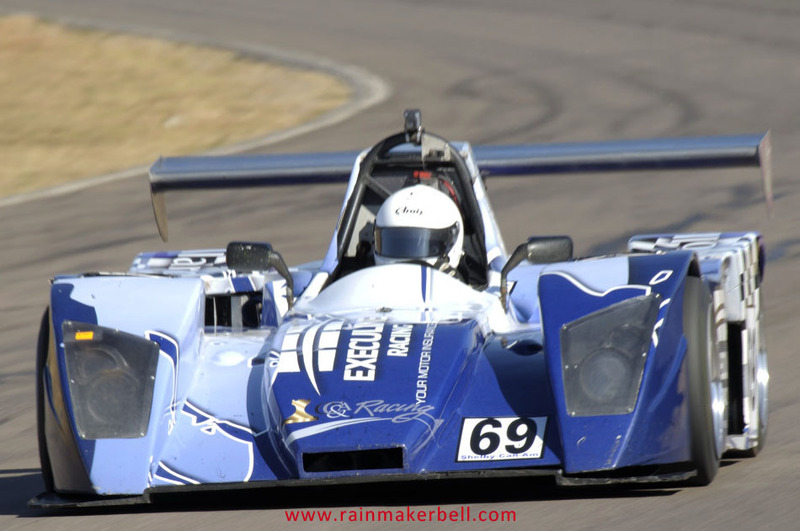 Yesterday GT Challenge competitor Toby Venter #9 did not even pitch up for the allotted practice sessions. 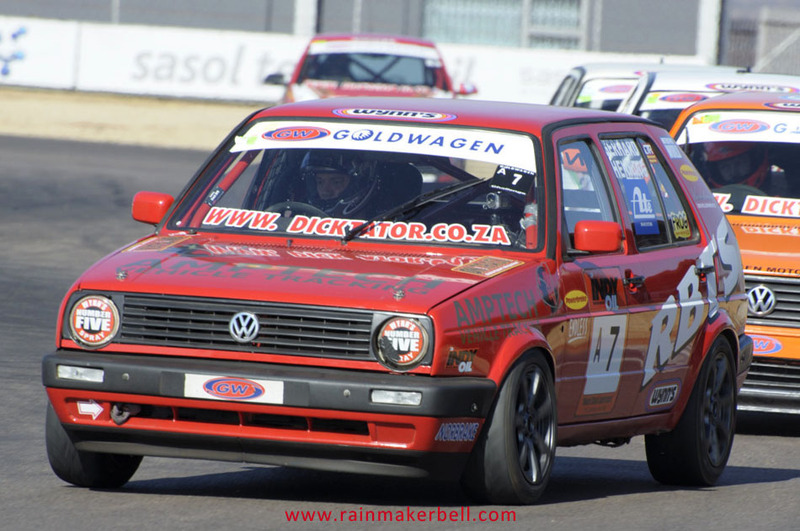 A bit disrespectful towards the Friday slacker crowd who lied and cheated to slip away from work to attend this event, I would say. 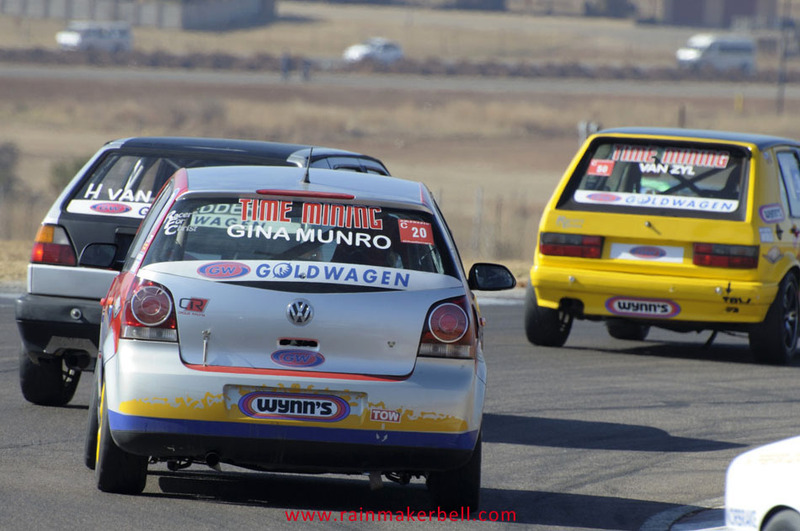 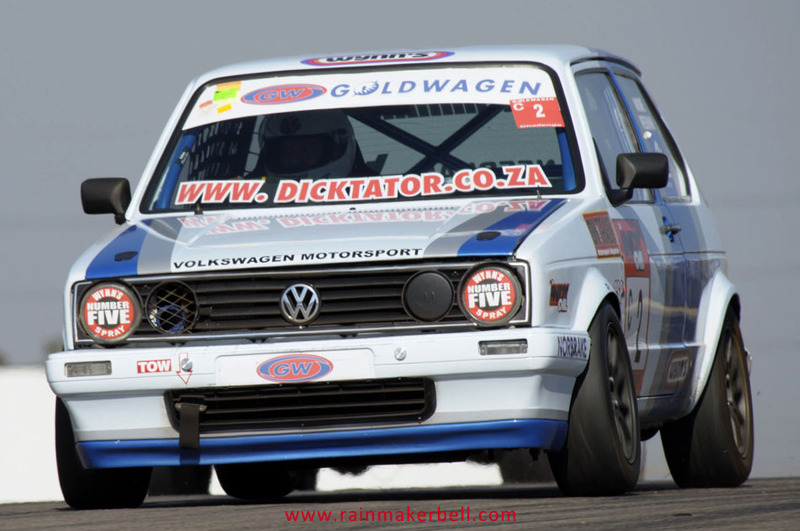 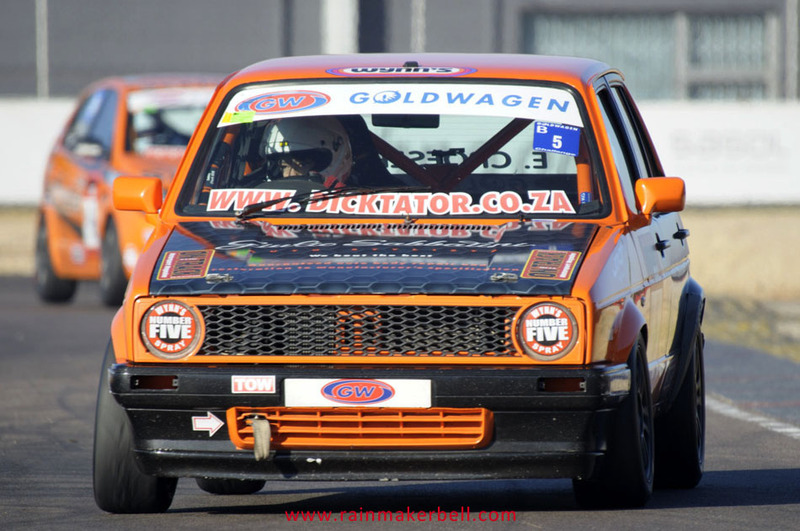 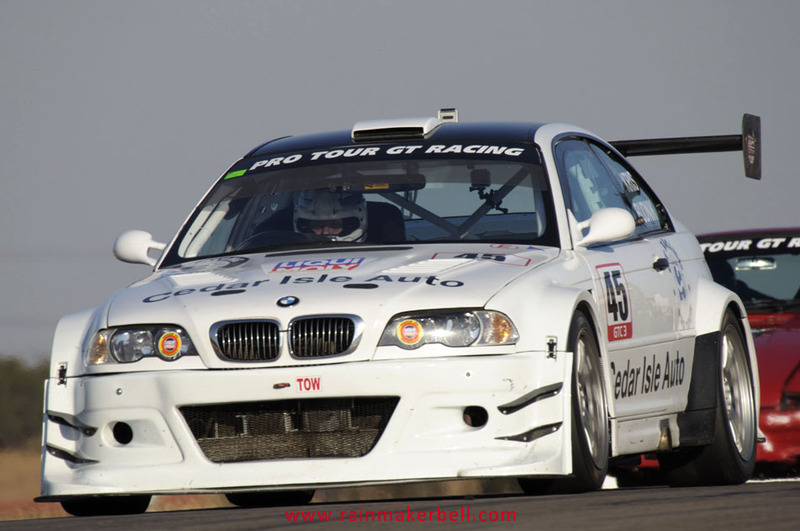 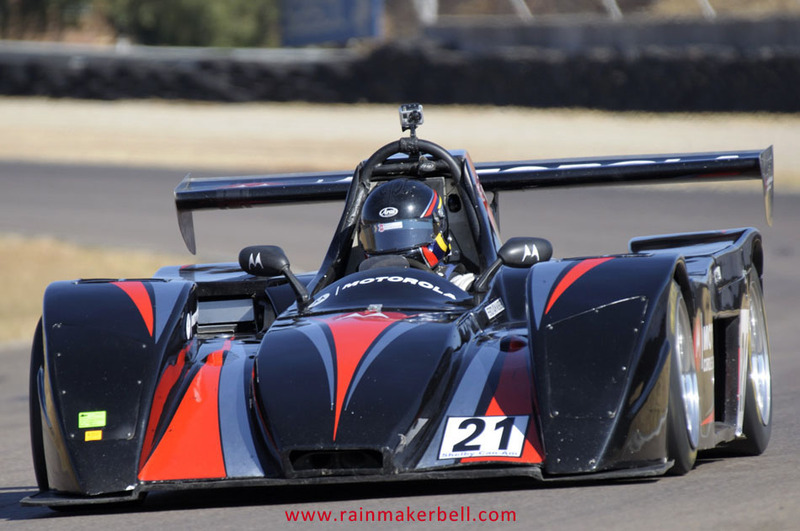 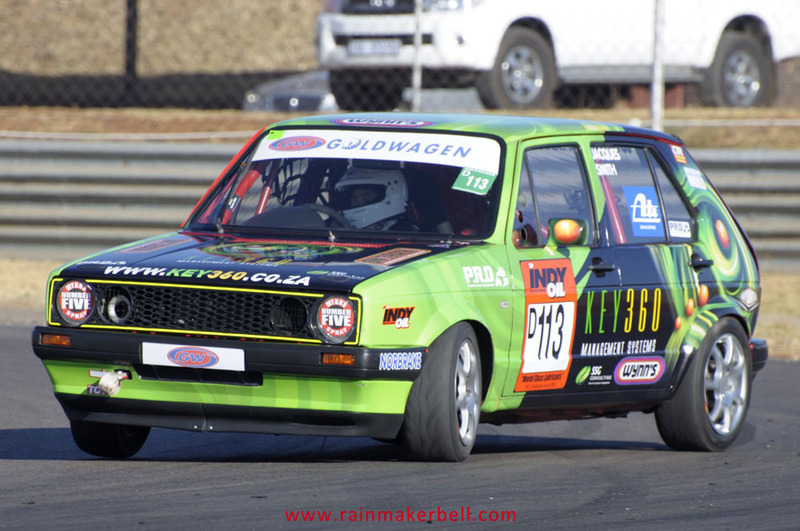 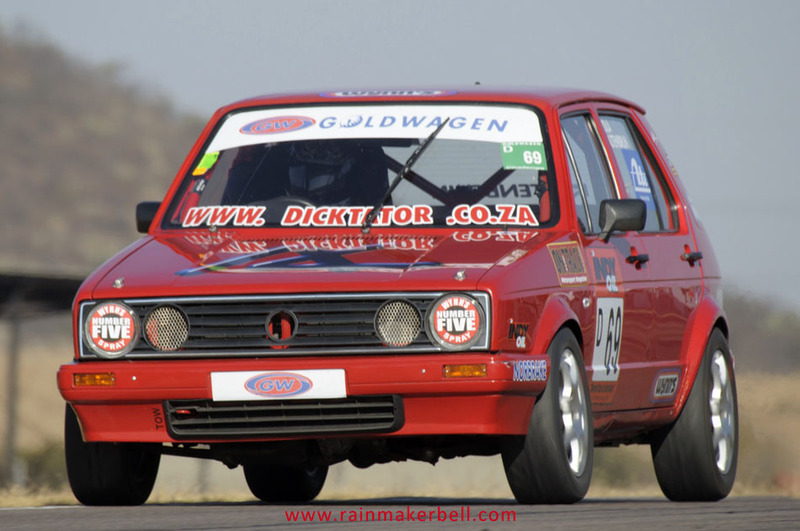 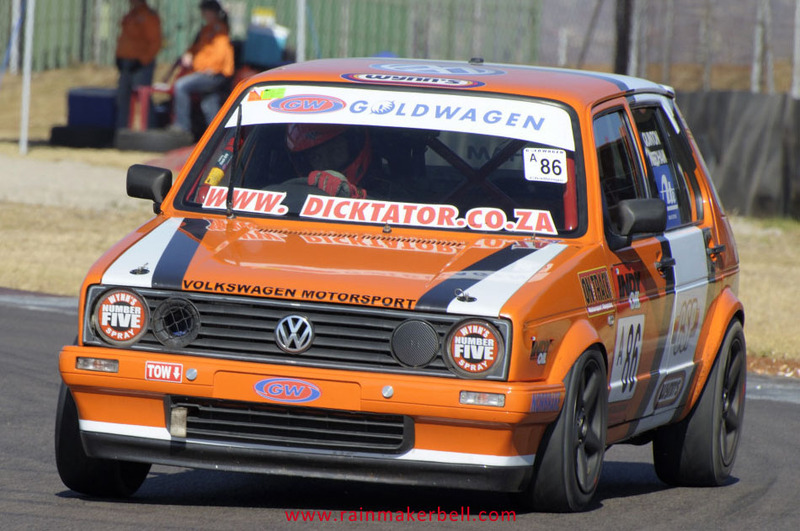 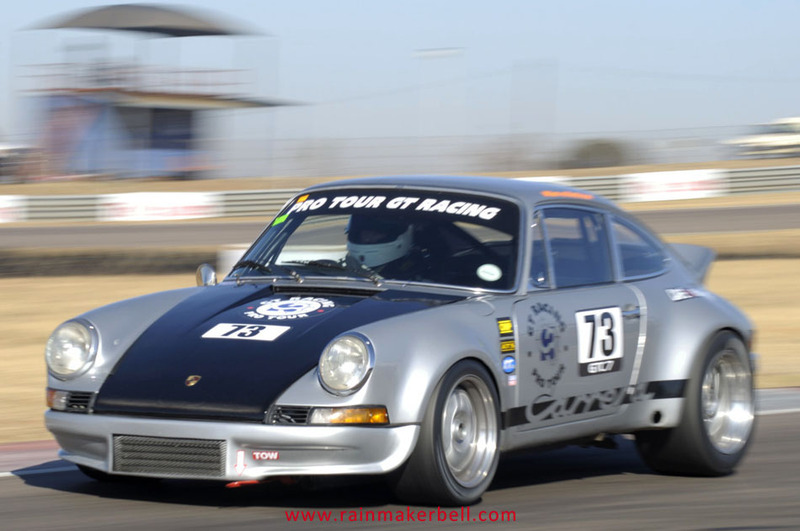 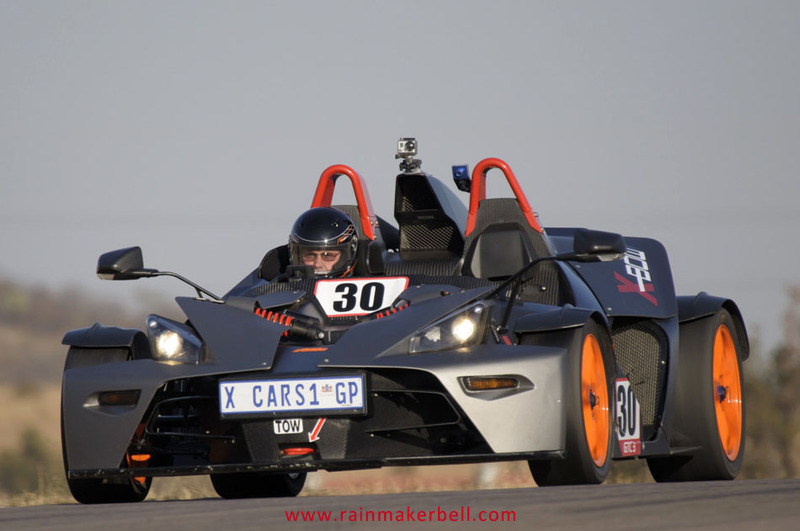 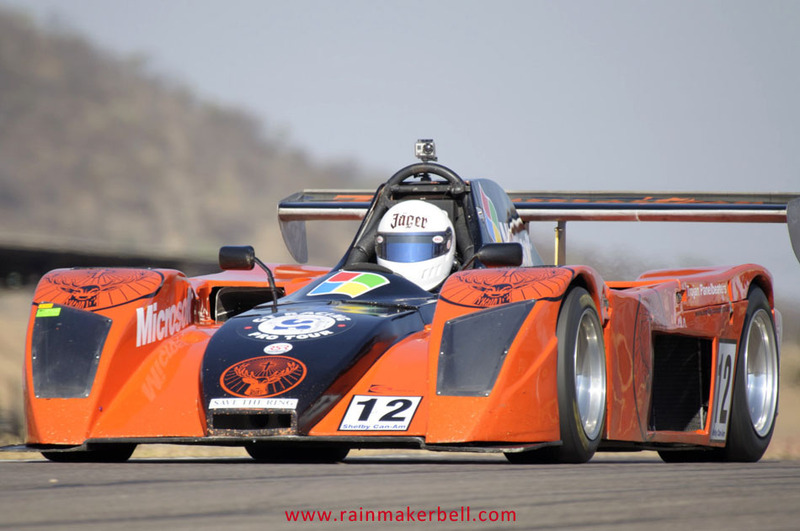 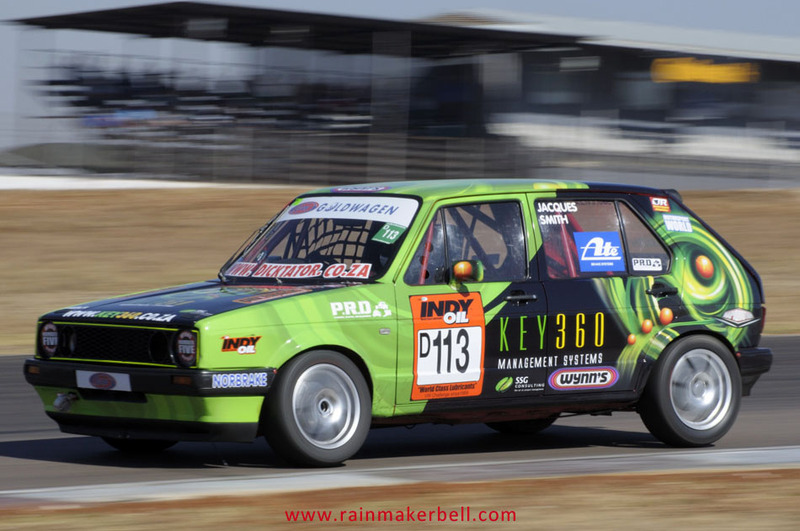 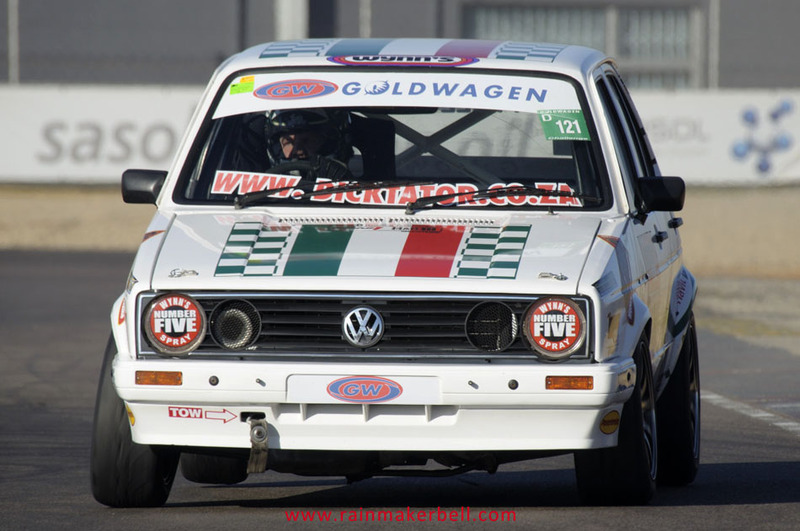 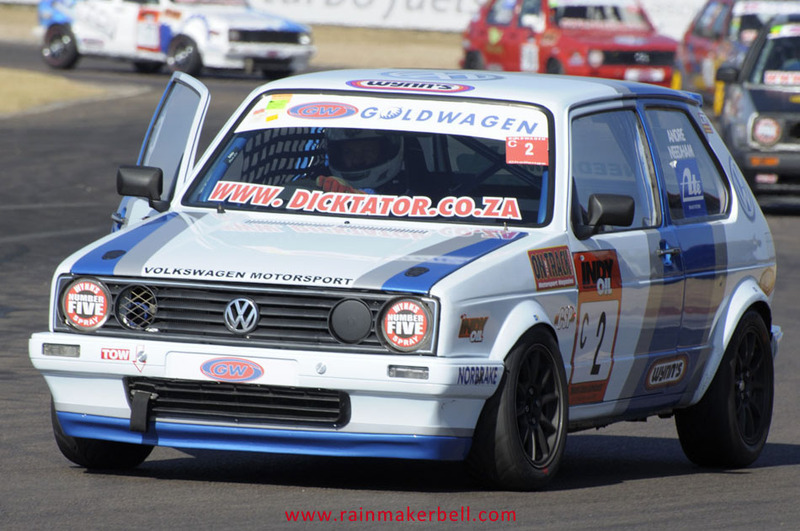 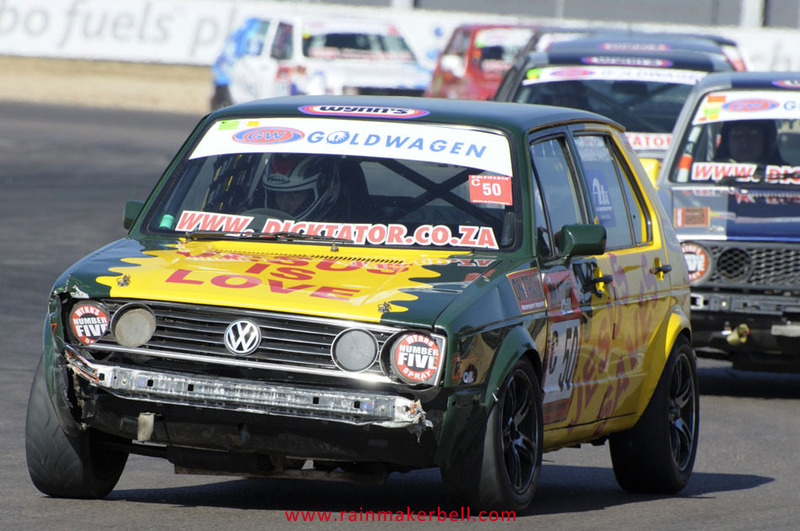 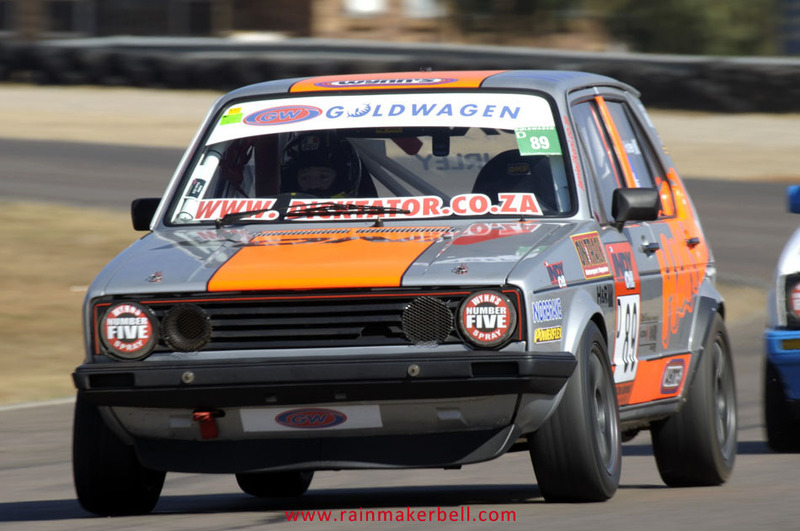 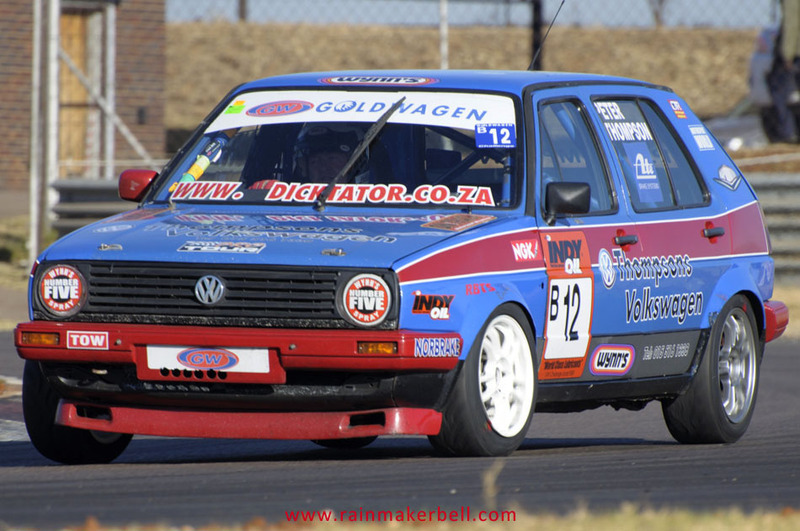 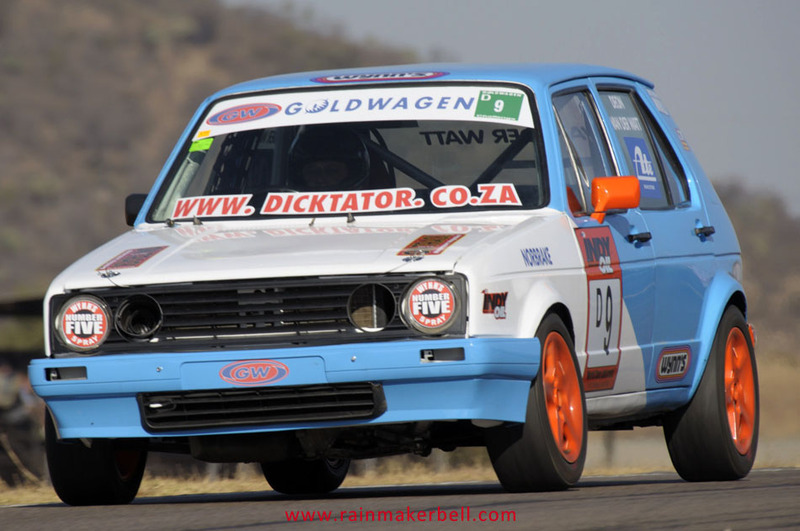 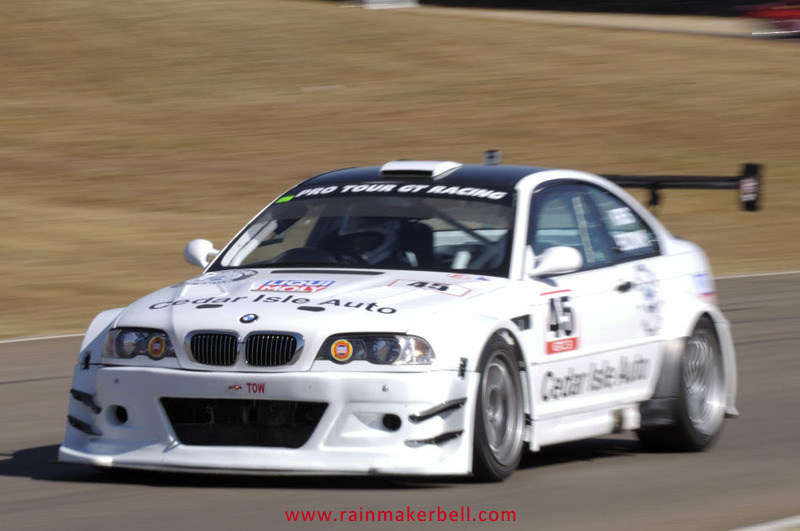 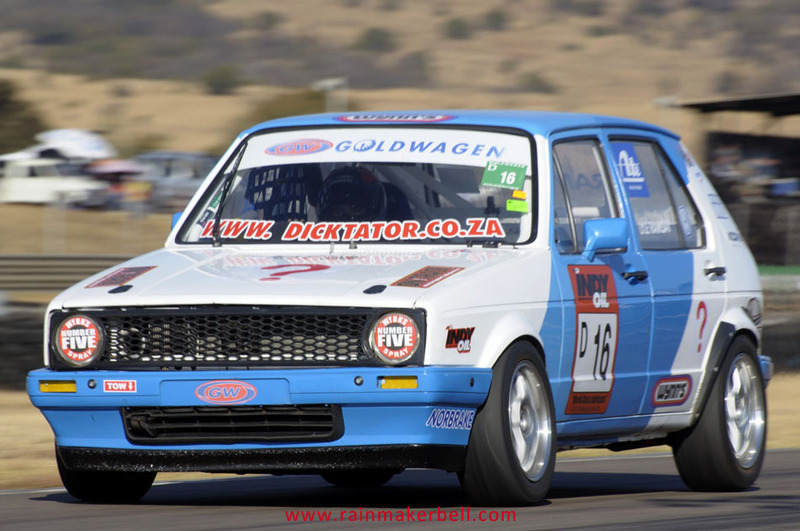 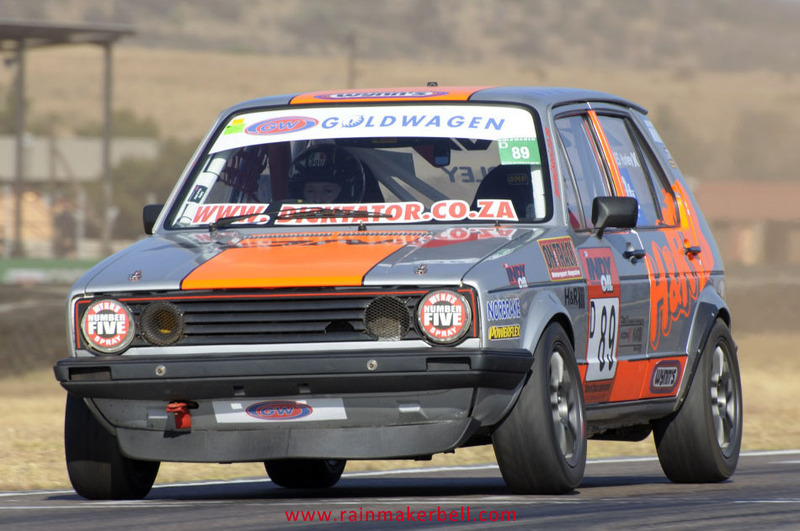 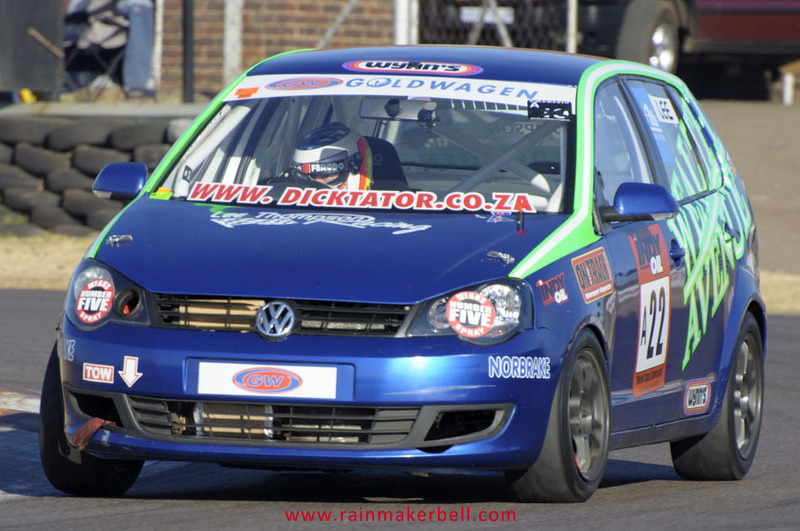 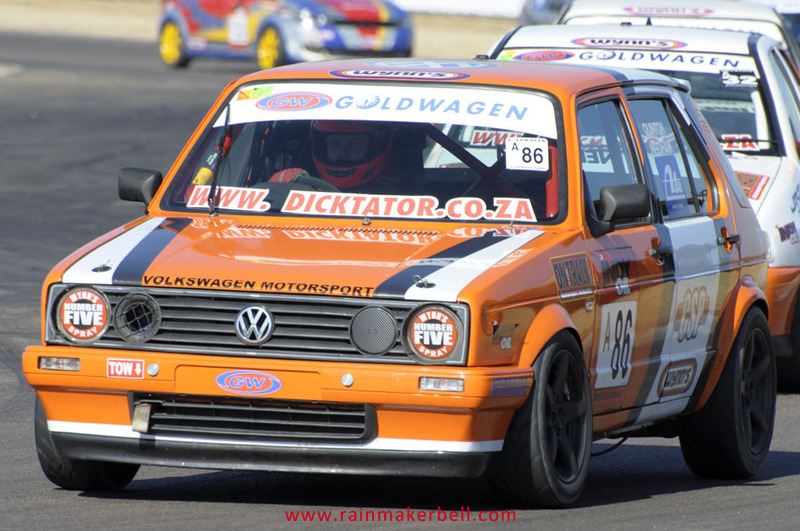 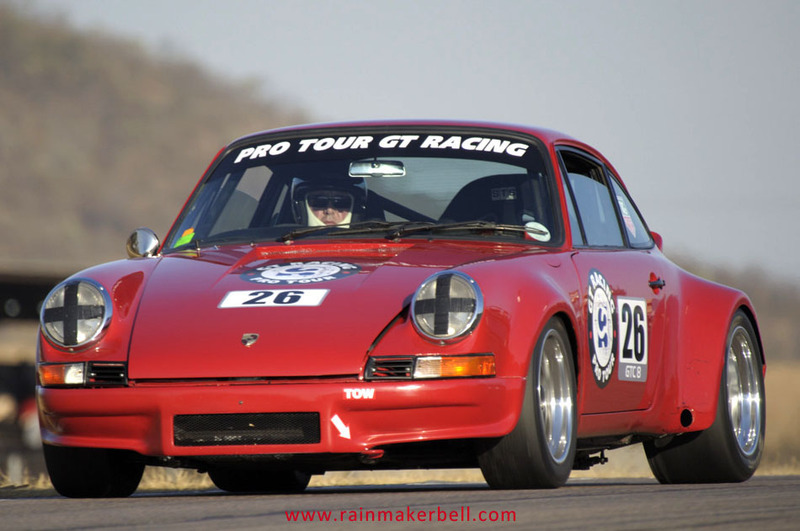 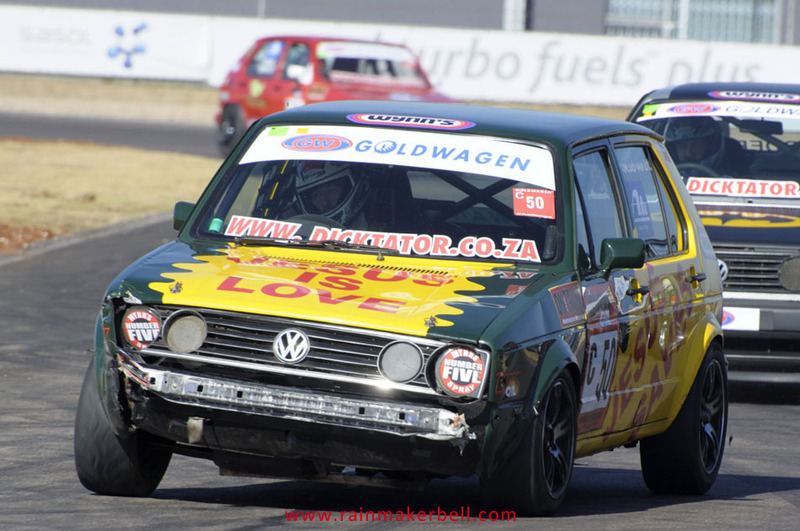 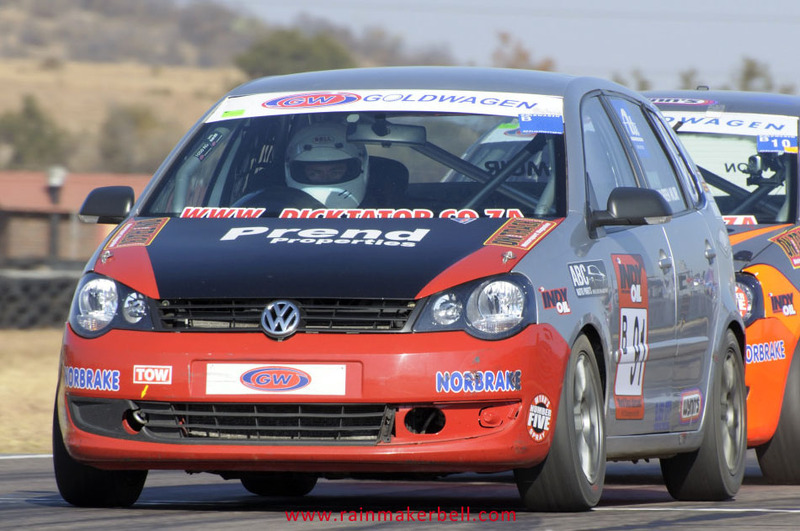 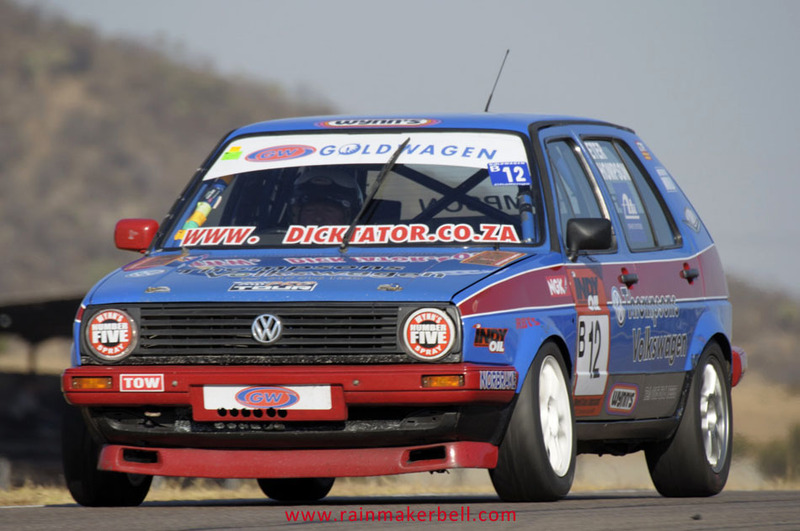 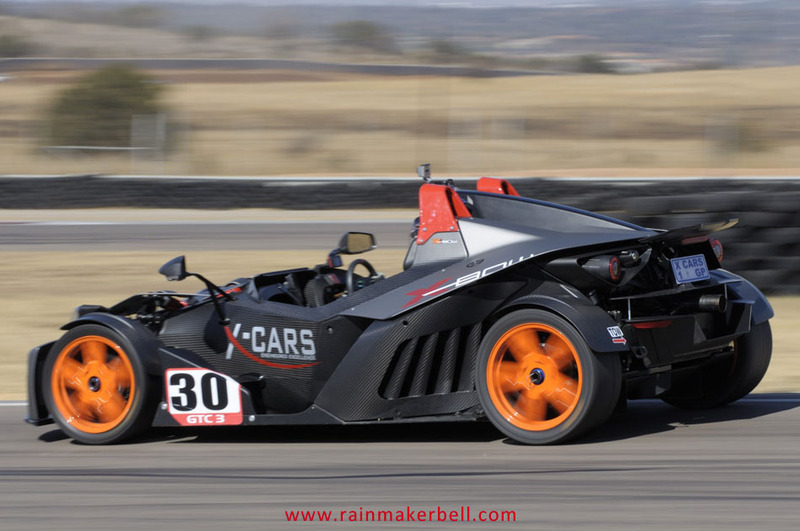 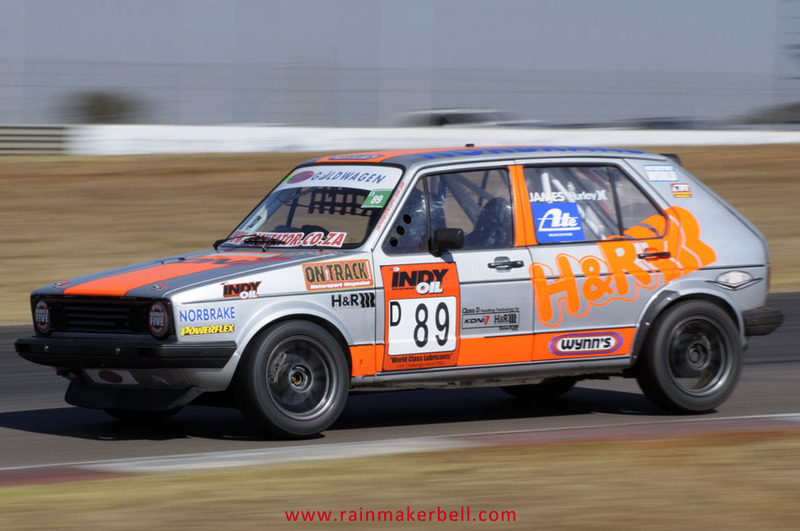 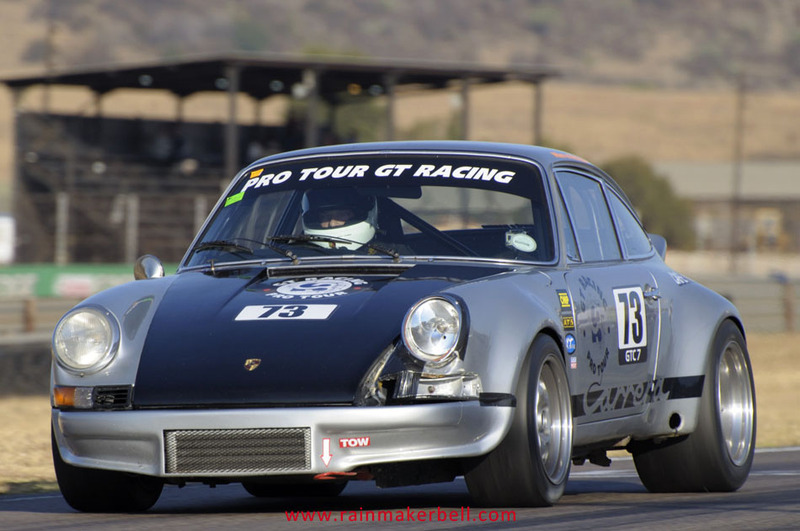 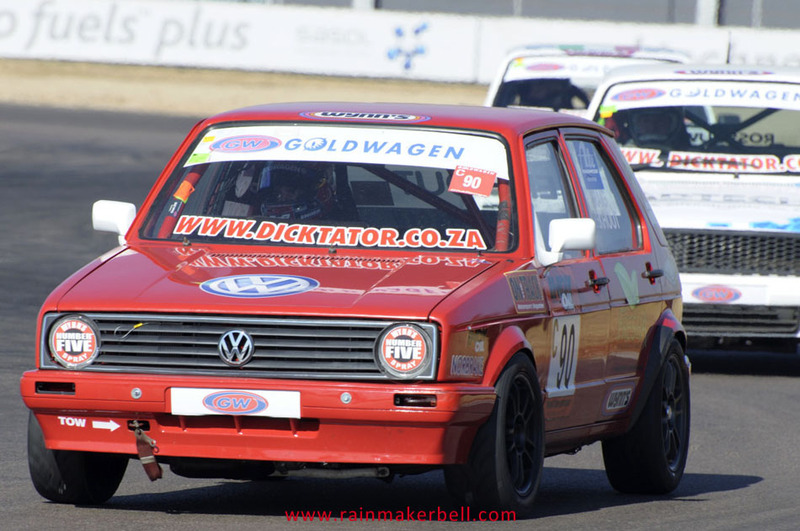 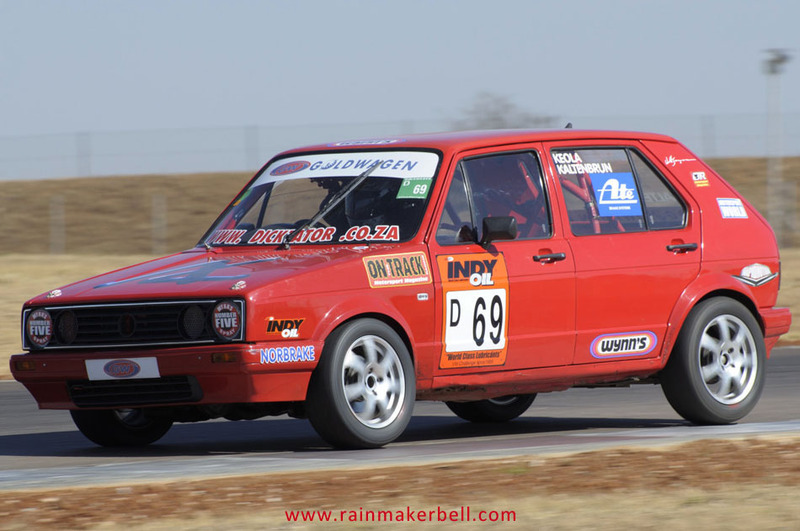 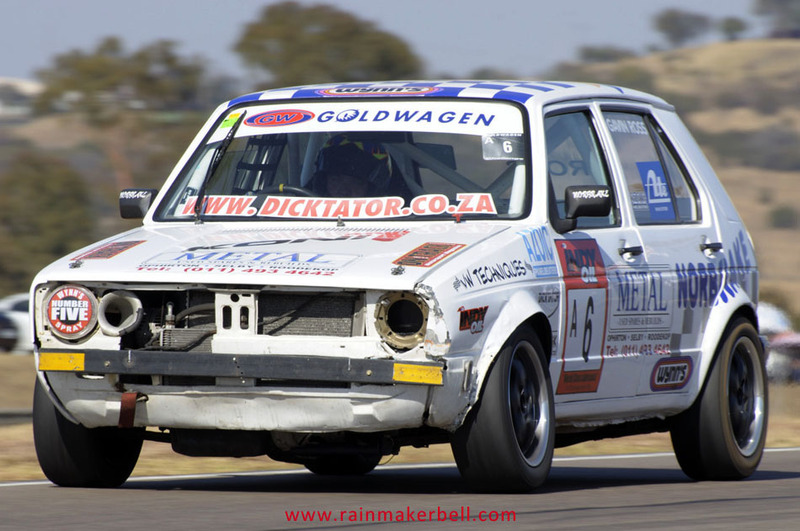 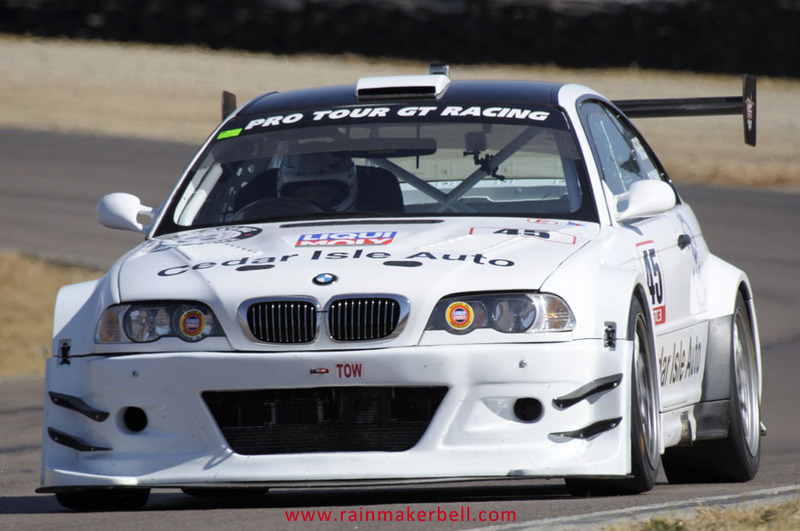 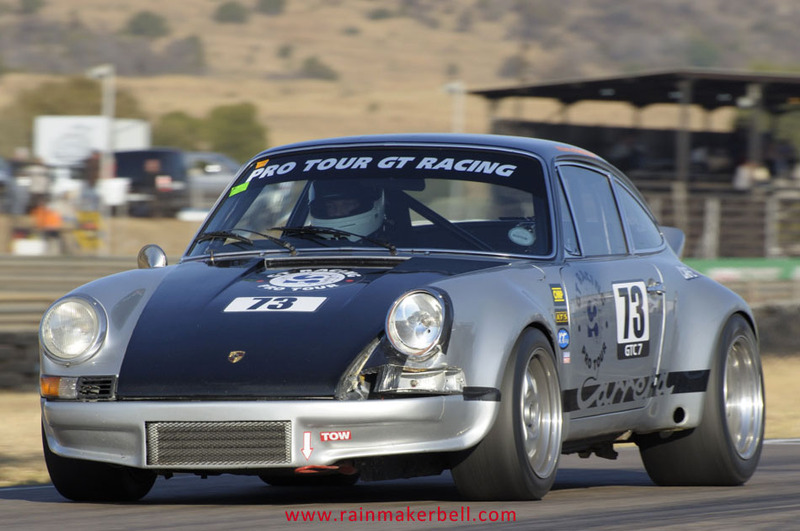 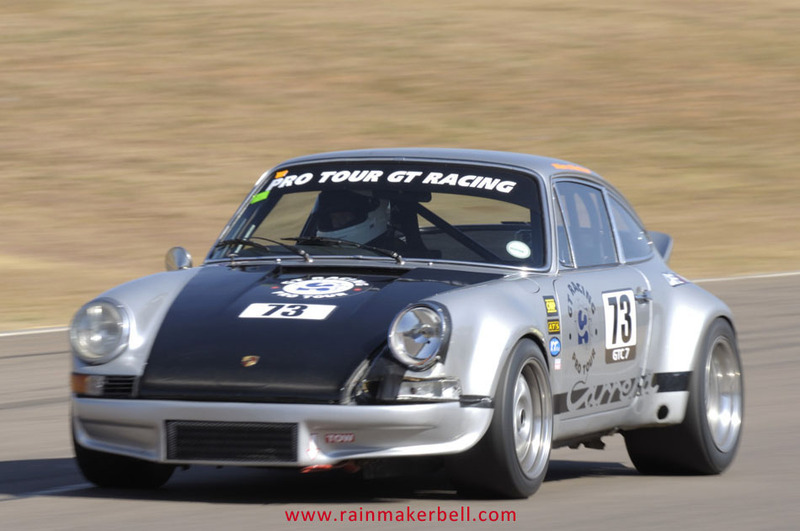 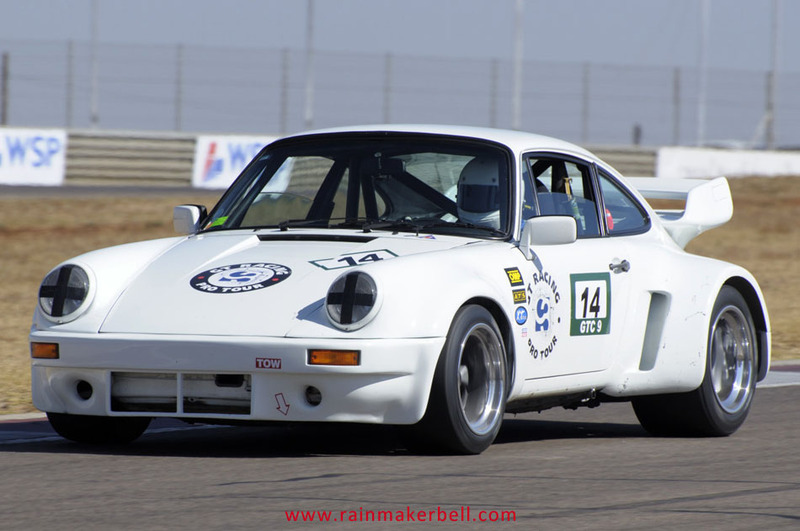 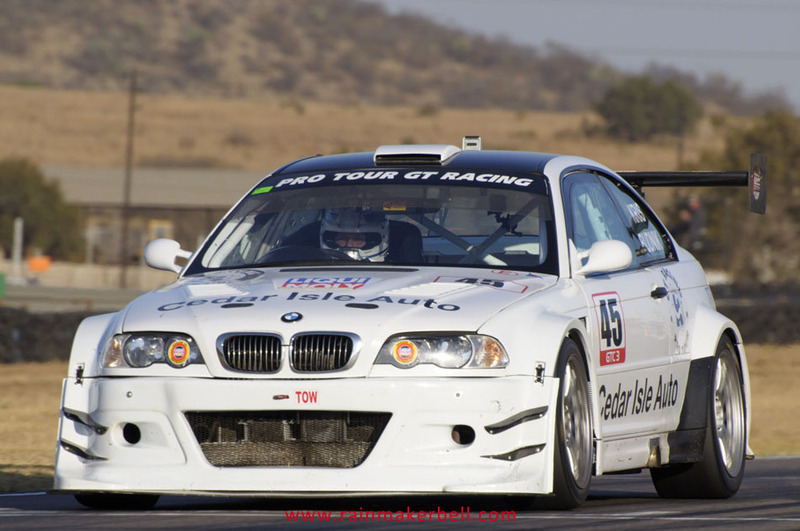 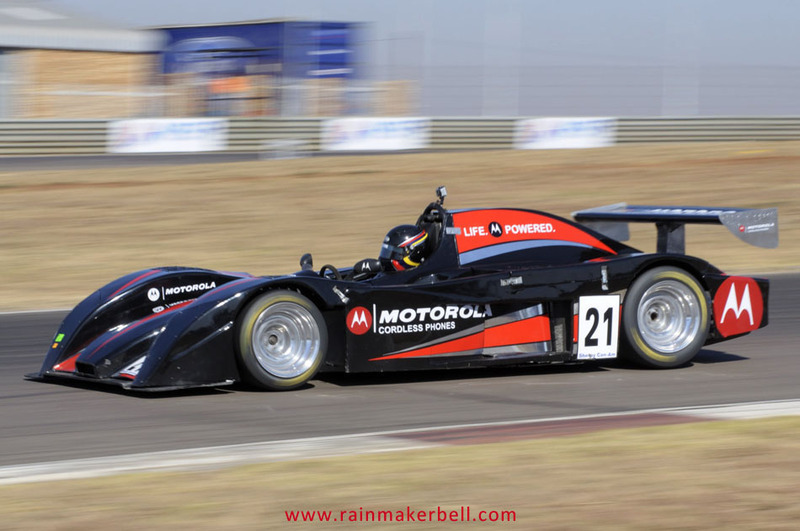 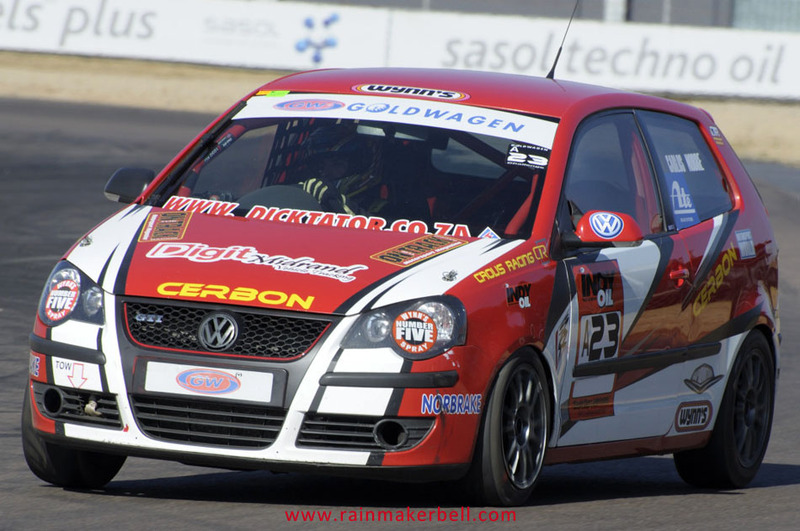 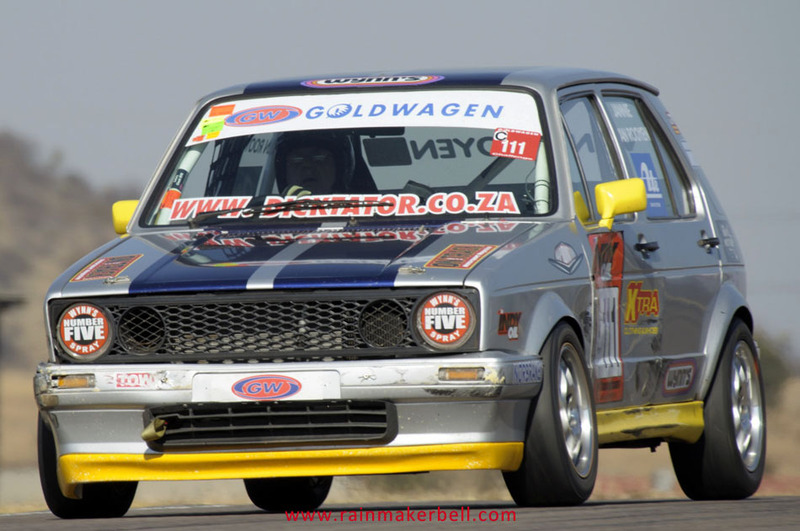 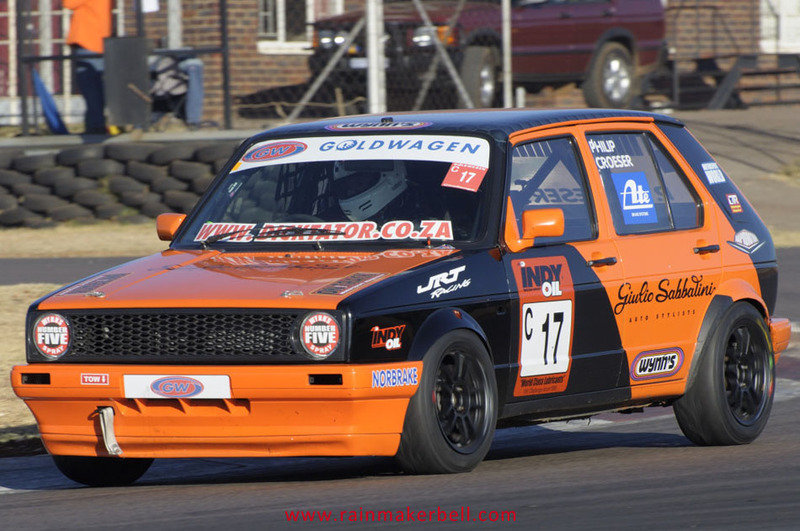 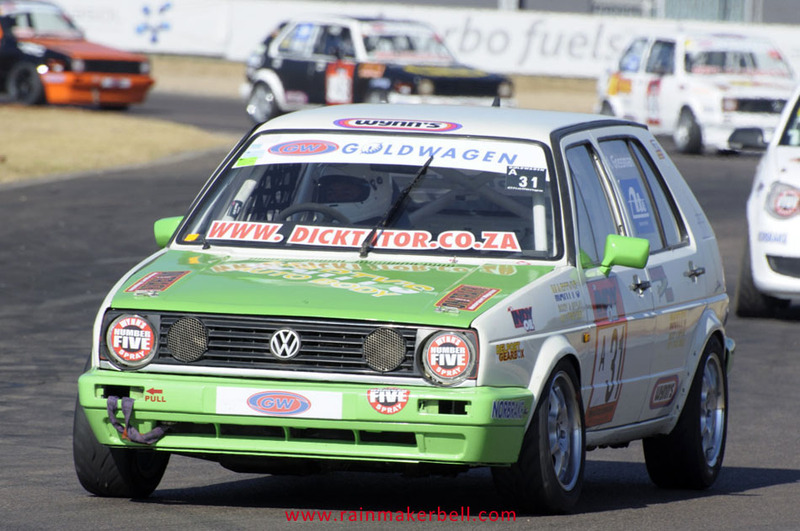 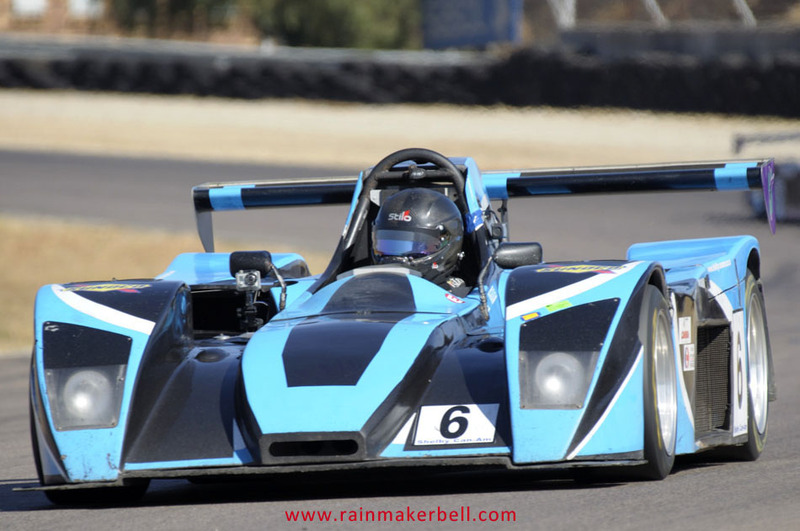 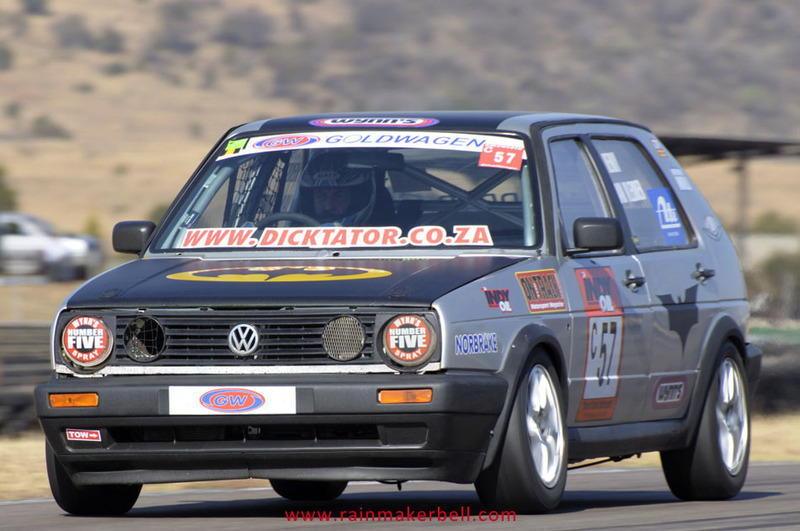 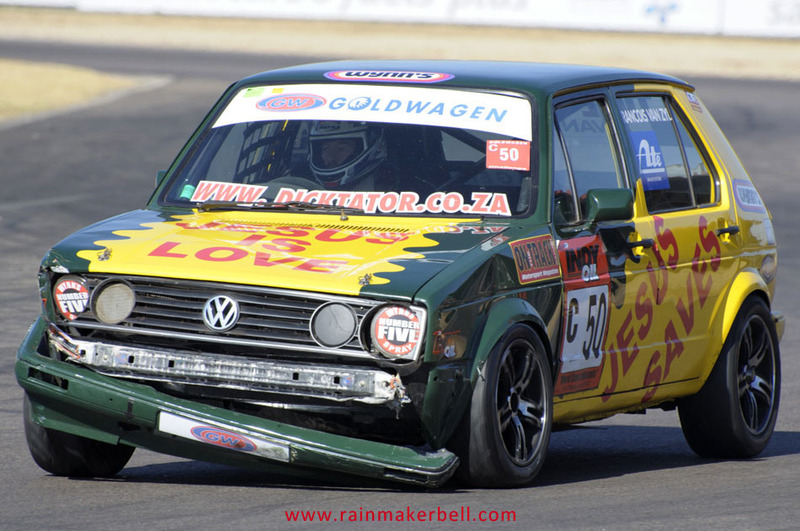 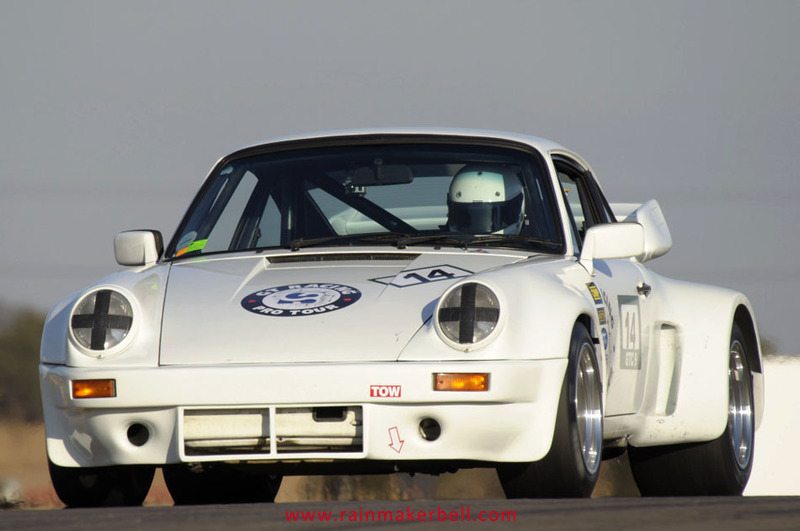 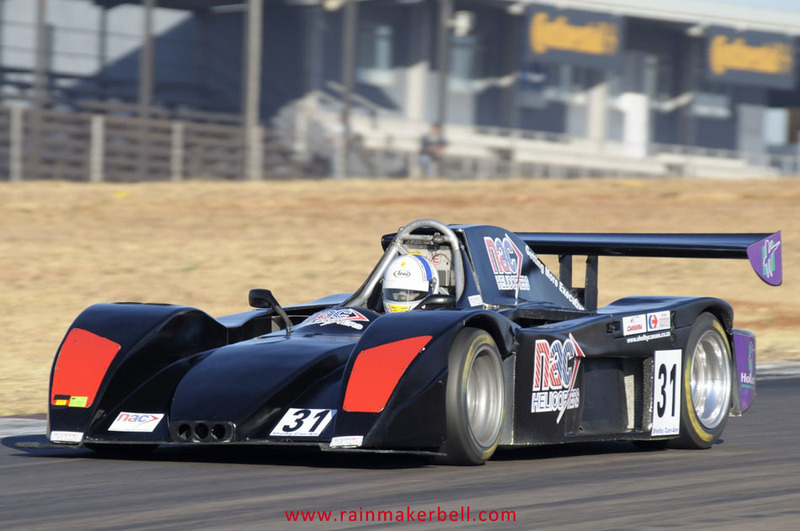 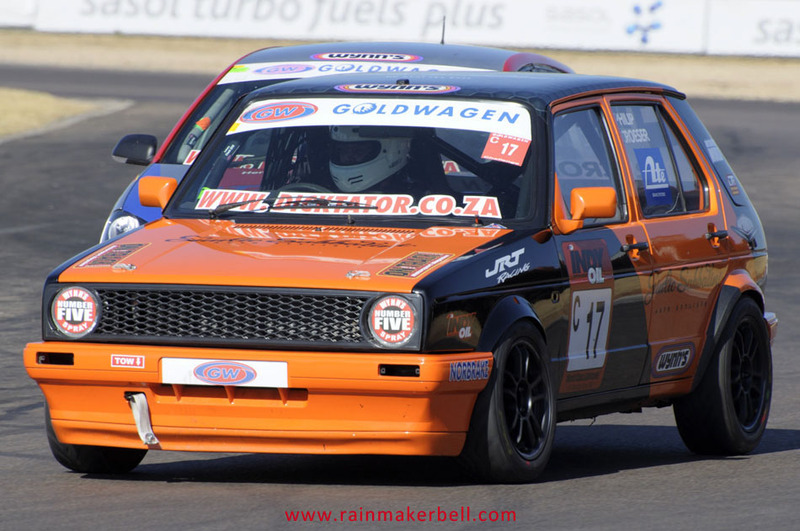 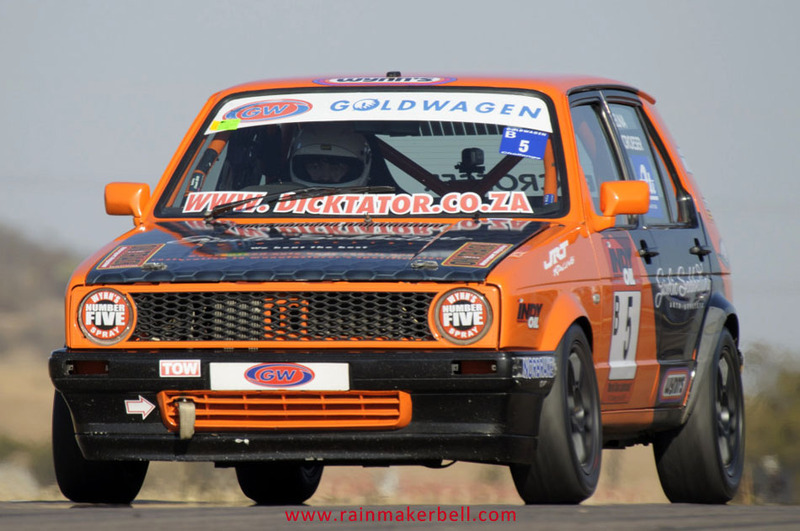 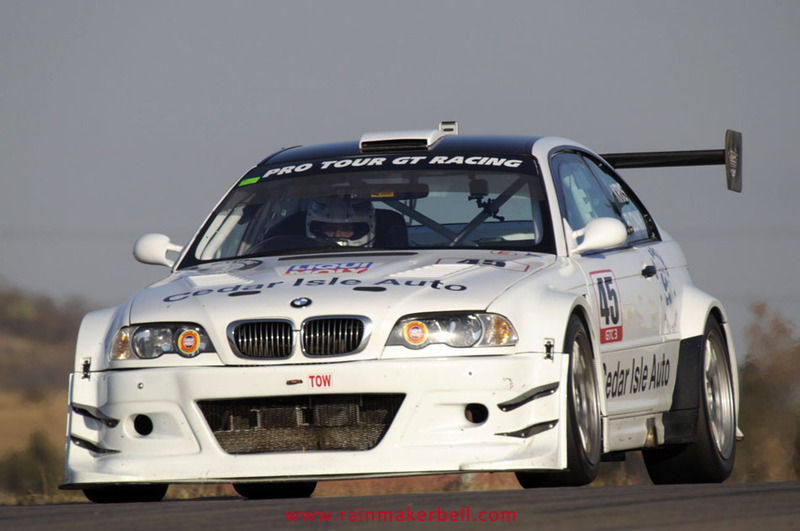 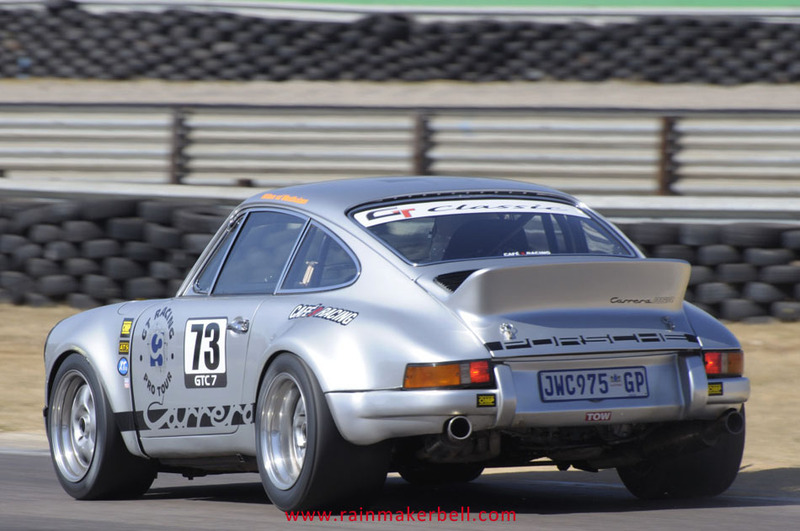 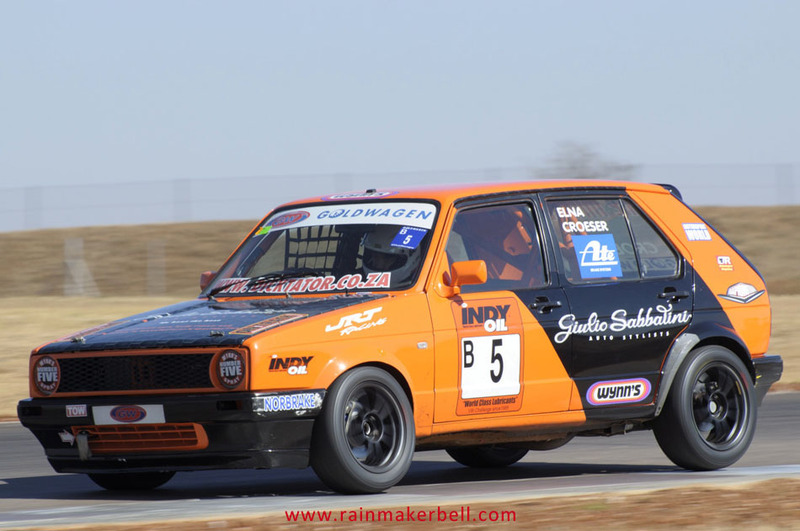 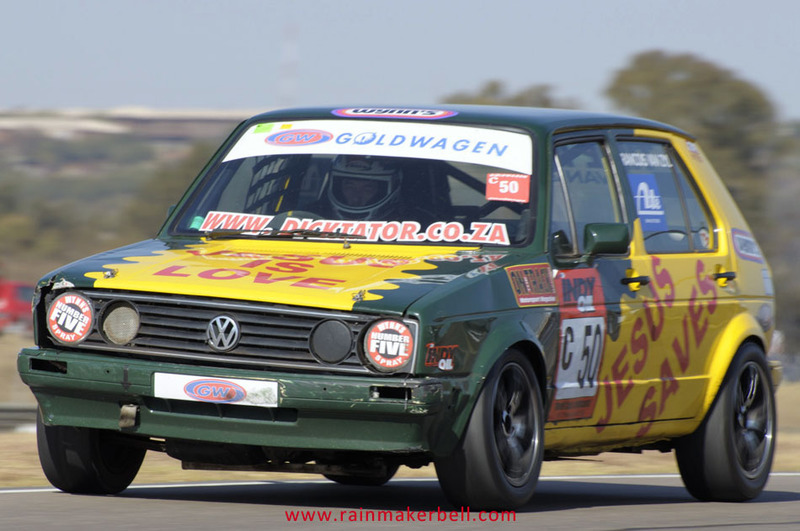 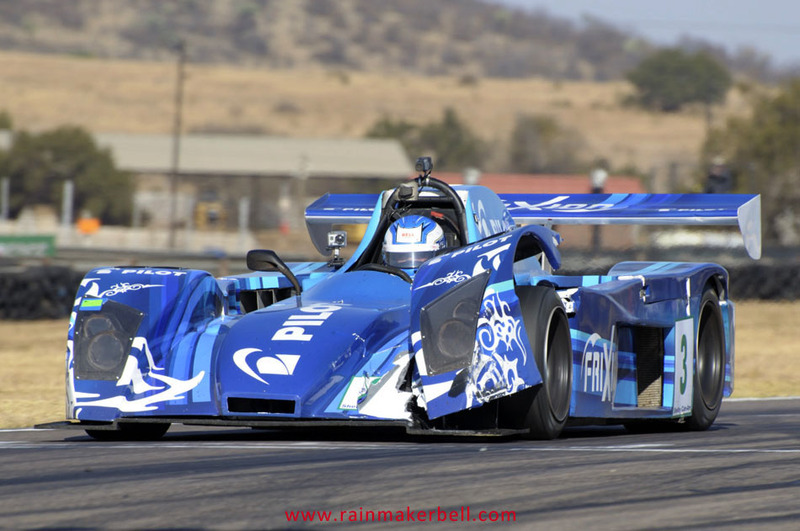 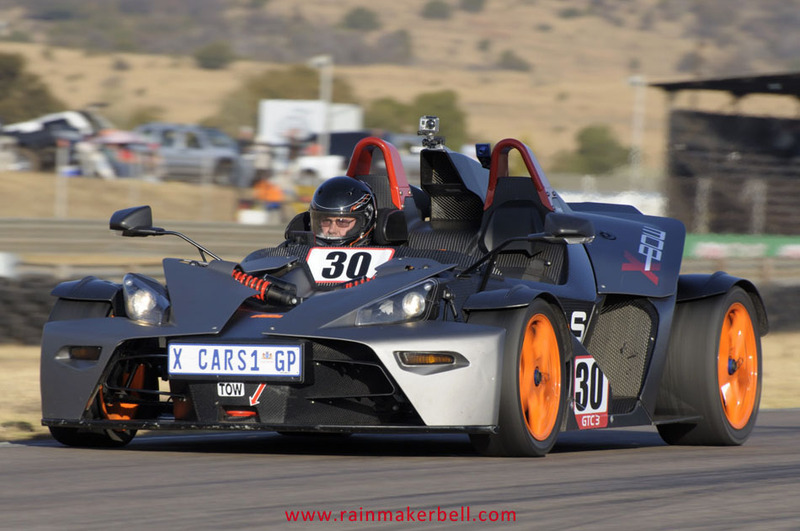 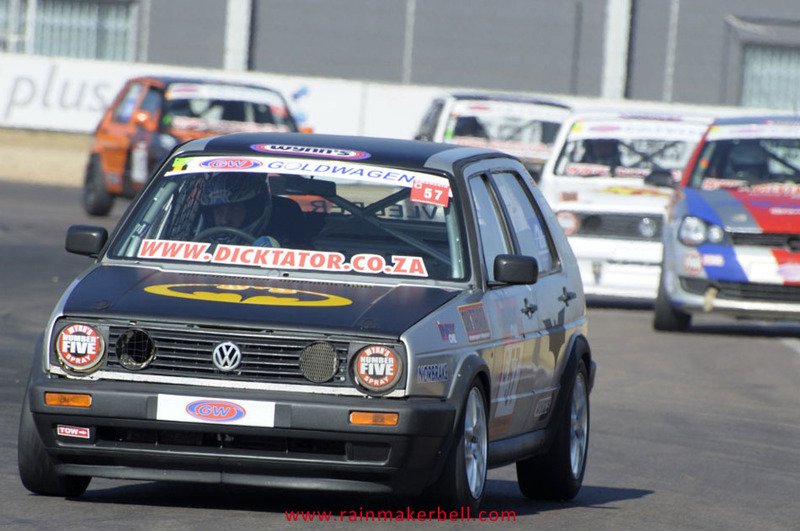 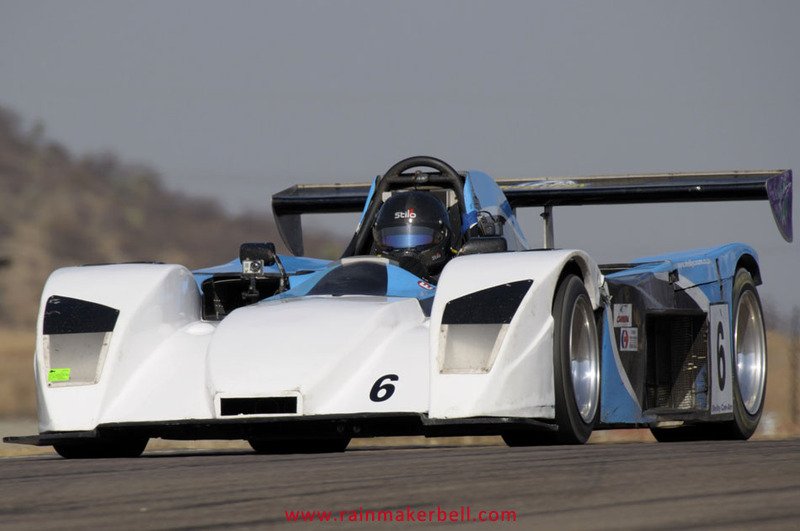 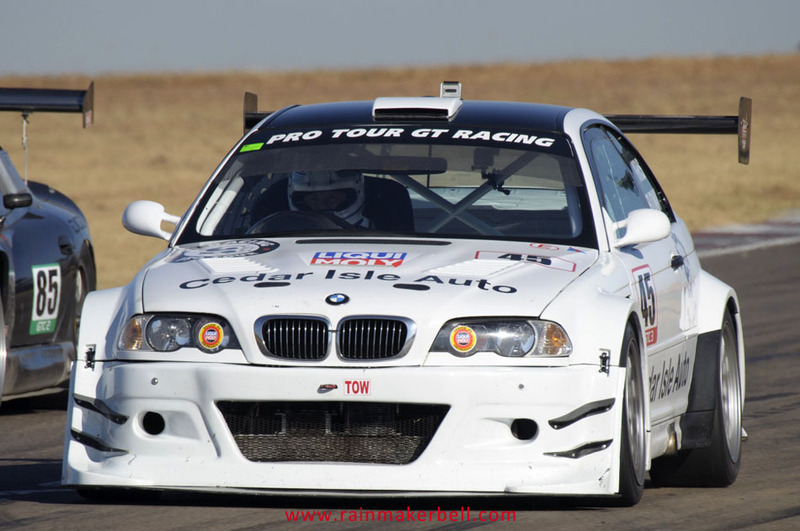 On the other hand the Zwartkops race track fits him like a race glove, so there’s no need to impress anybody with fancy driving styles and quick practice sessions. 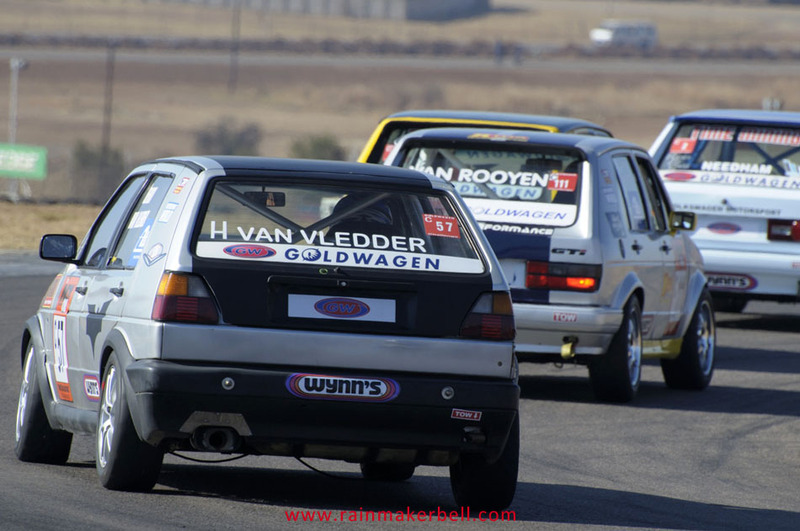 Apologies Mr Venter. 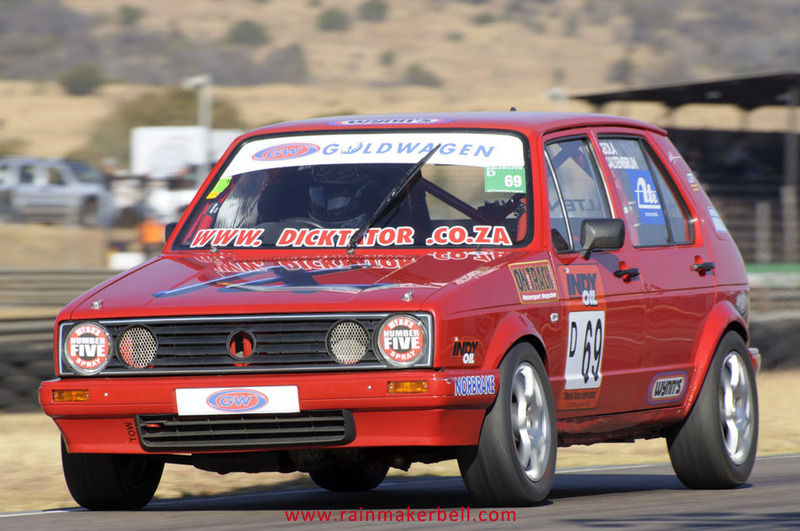 As usual I made my early morning round through the Zwartkops pit complex, to adapt from city life to the fast paced motor racing domain; getting myself acclimatised in order to showcase a better array of photographs. 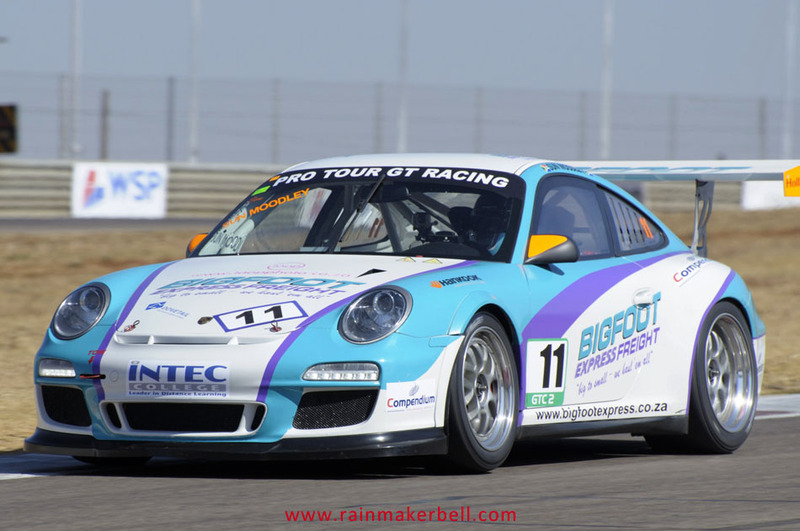 In the first garage stood the pale GTC1 monster (Porsche GT3 Cup) of Toby Venter #9. 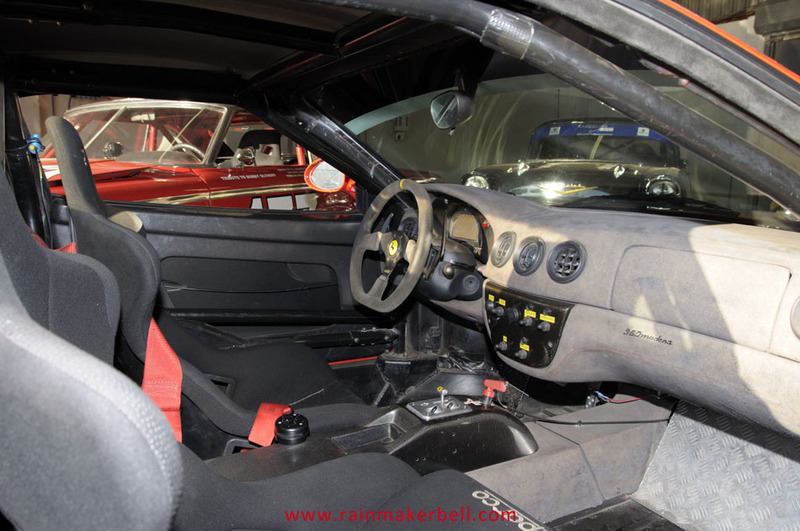 A neatly structured interior of wires, cables, knobs and modern race seat with red safety belts, tells a story of reliability and awesome speed—the pale and dull outer skin disguising its real capabilities. 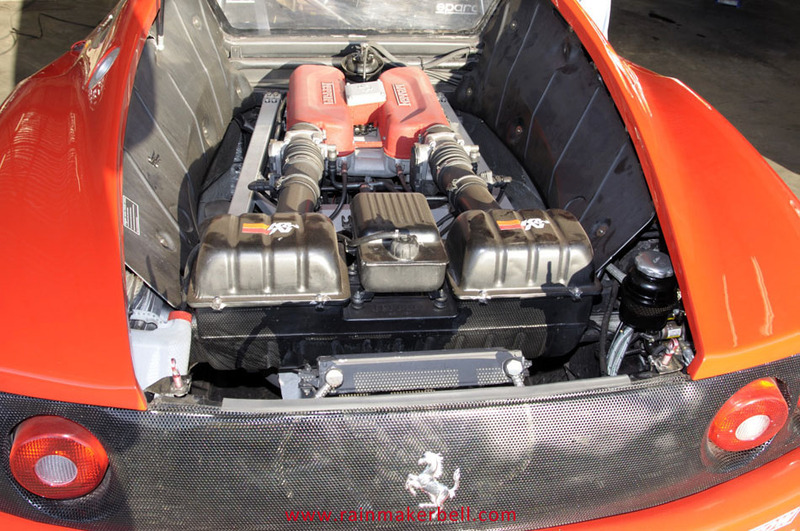 However, a red Ferrari to young ones is like sugar to ants. 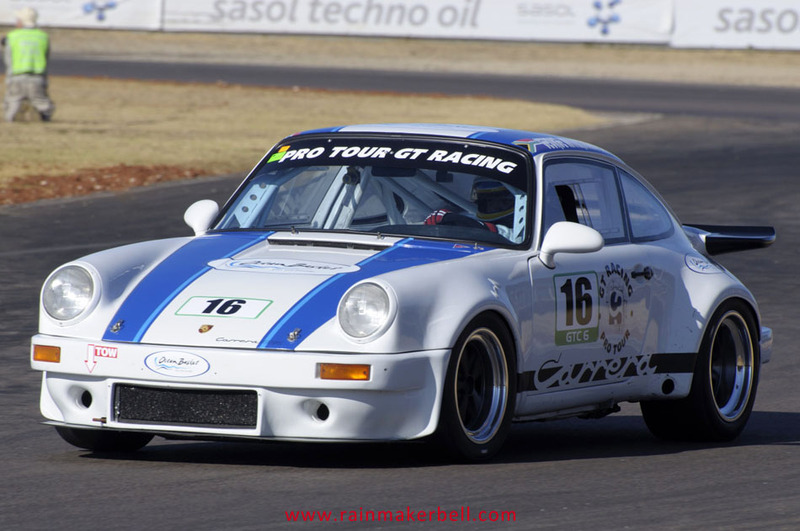 On the opposite end of the pits Mark du Toit's ultra red Ferrari got more ogling than this white beast. 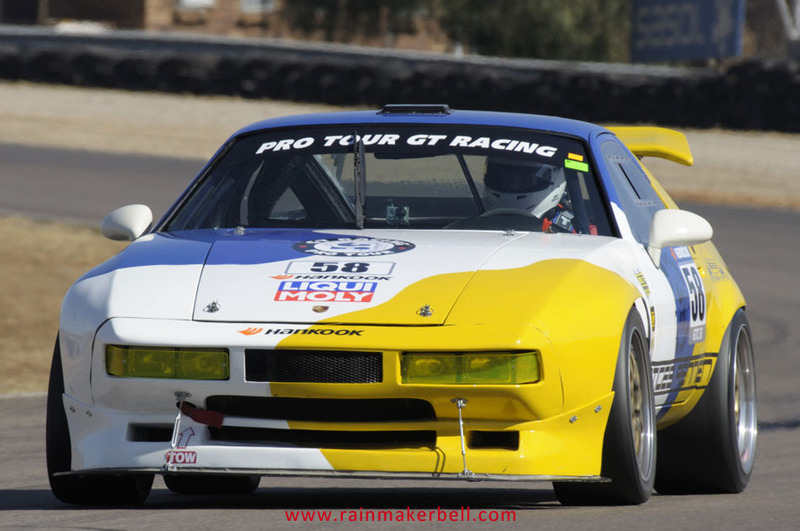 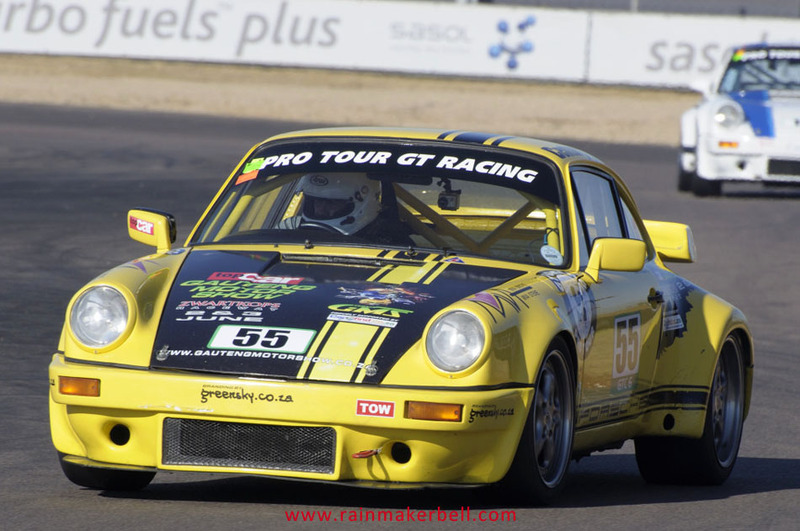 The actual race will have the crowd in awe as the GT Challenge and GT Classic classes were amalgamated into one serious race class, pushing man and machine to the limit in a 30 minutes (plus one extra lap) action filled race. 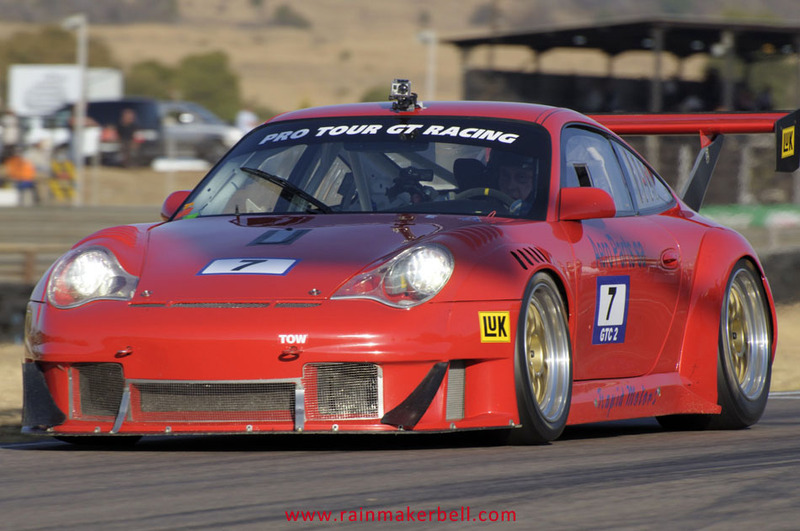 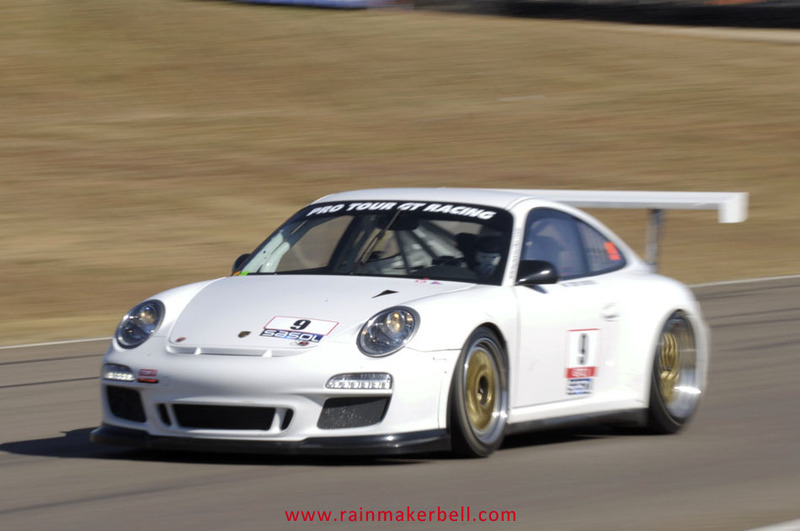 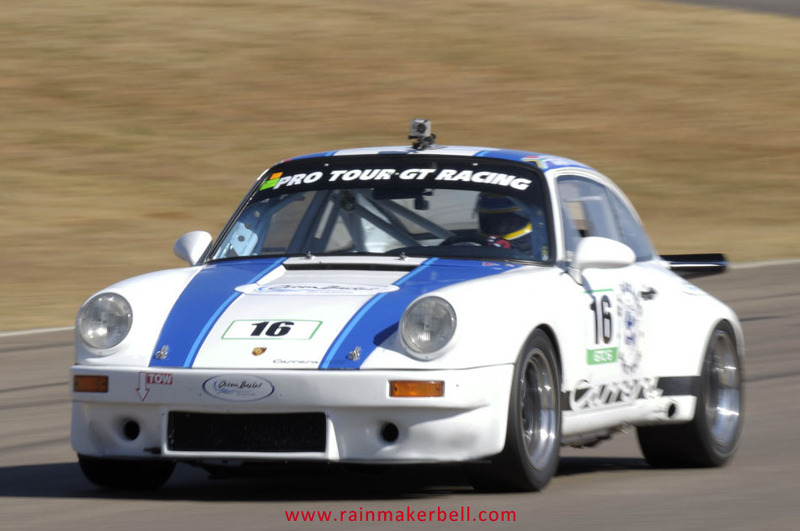 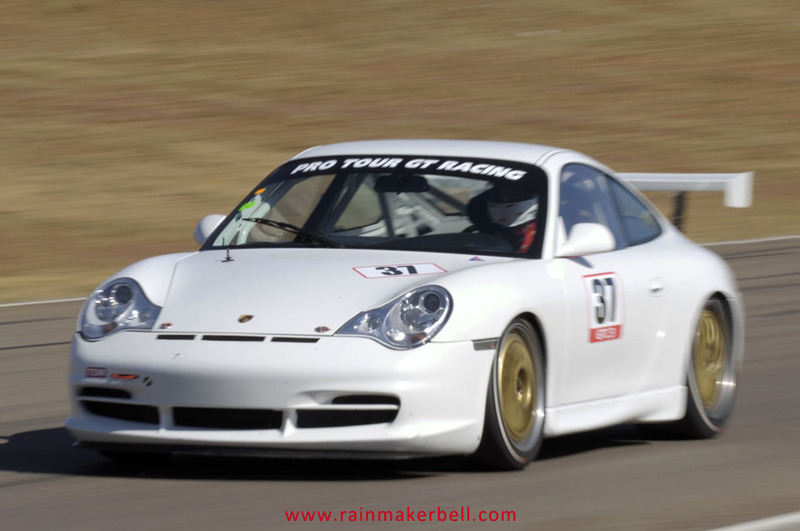 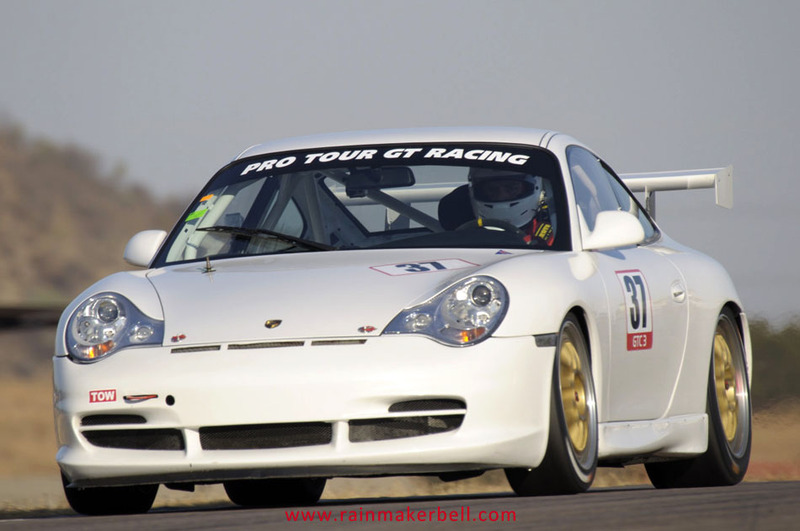 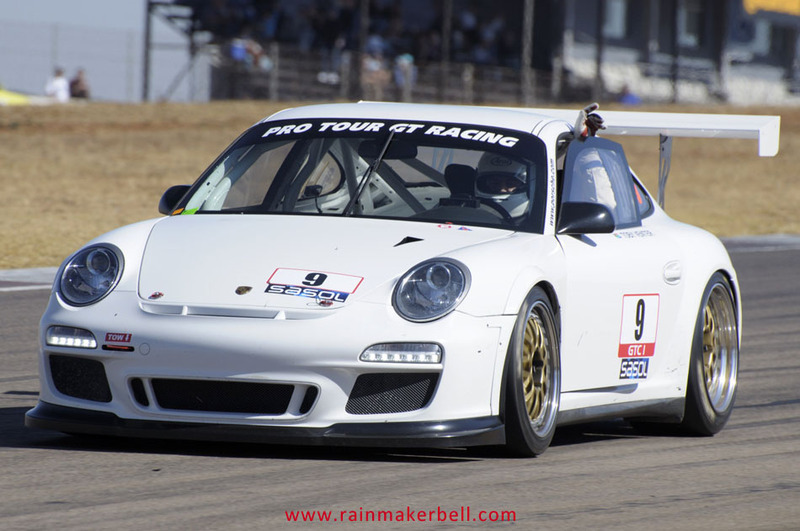 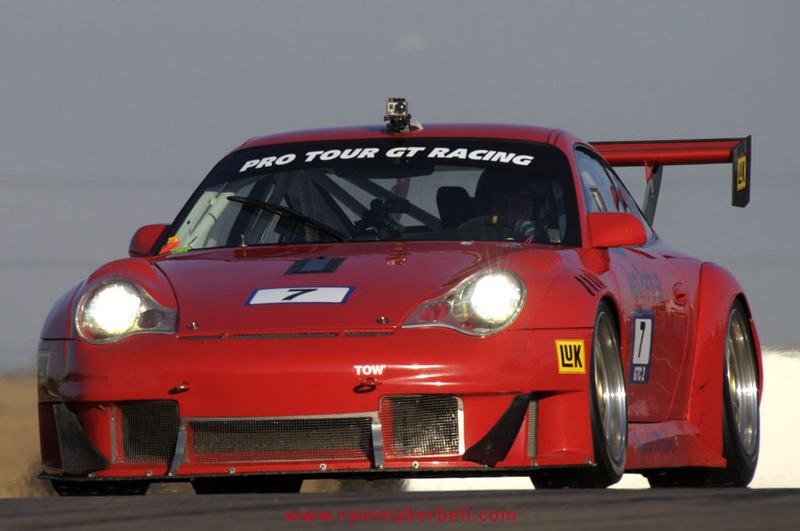 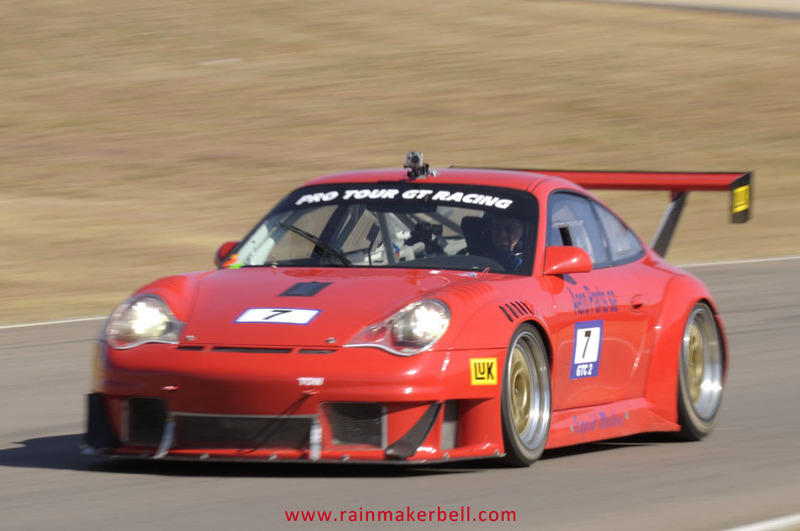 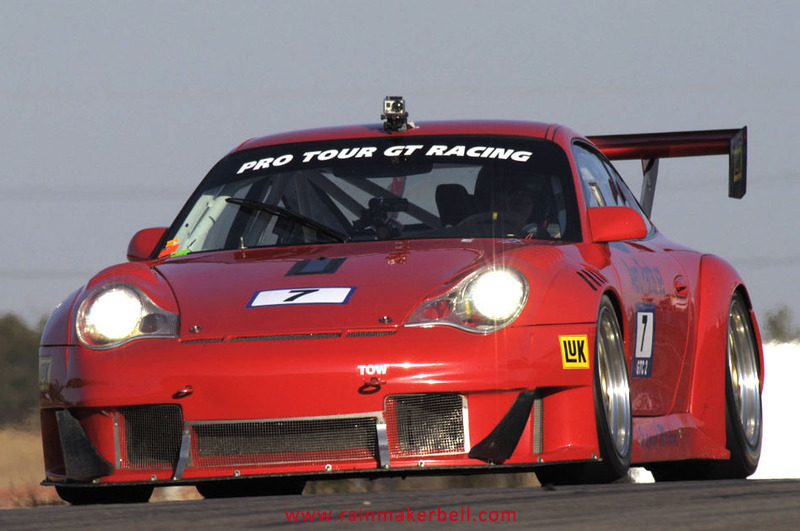 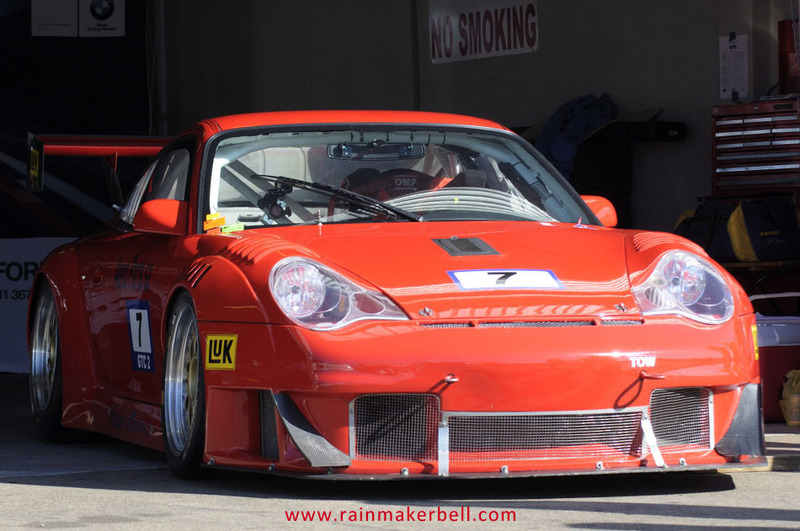 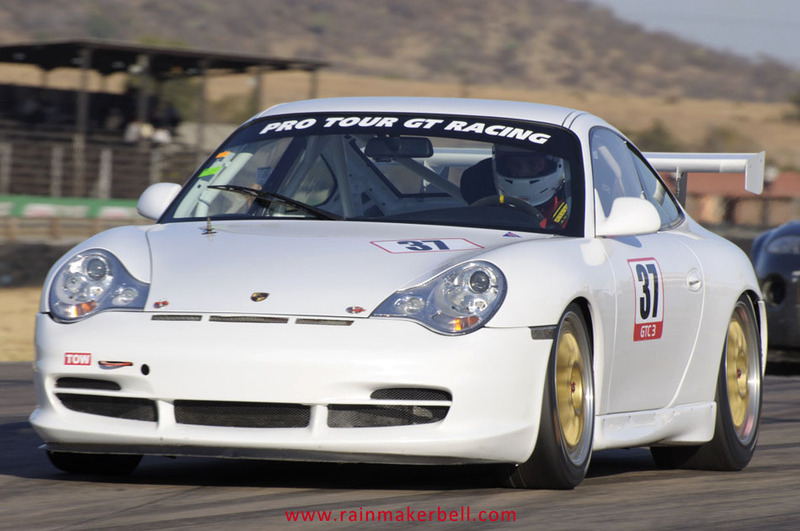 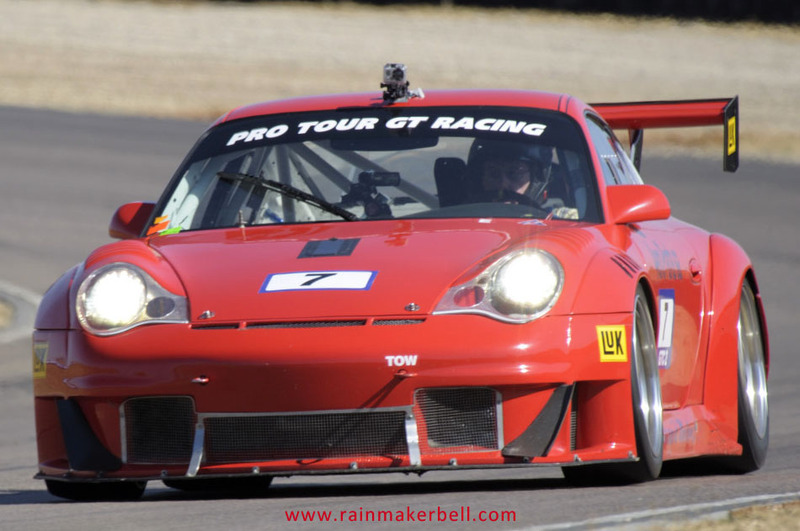 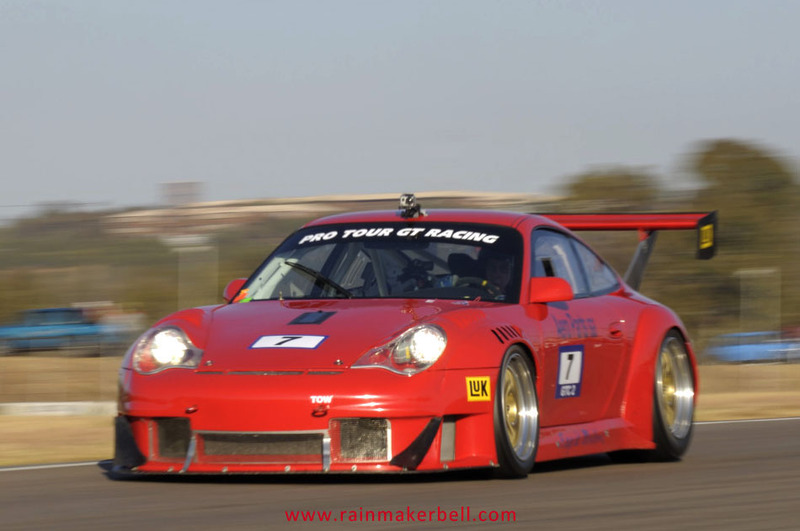 Race one and the Grand Wizard, Toby Venter, pulled an unexpected white rabbit out of the proverbial hat, leaving Vernon Bricknell (and the rest) in his vibrant red Porsche 911 996 GT3 RSR Le Mans pimped out ride in the wake of his pale trail. 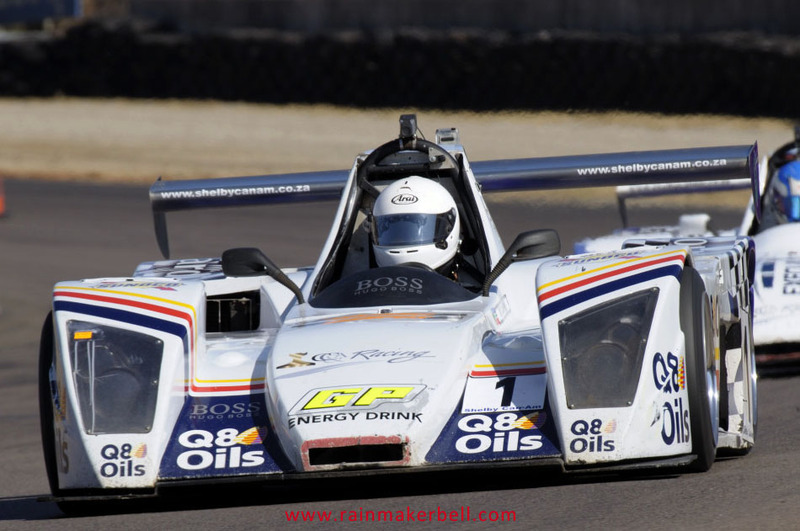 I've had a lot of money and faith riding on Vernon, but I guess his right foot wasn't heavy enough to punch his nemesis to second place. 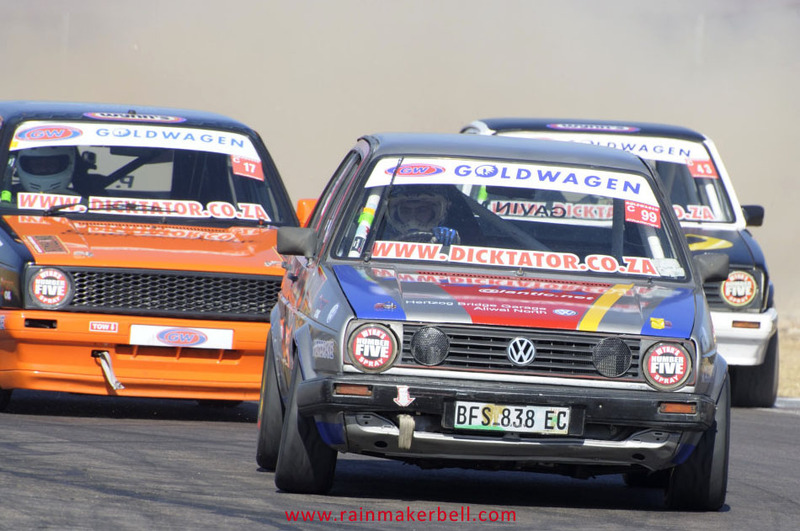 Sadly it happened in both heats. 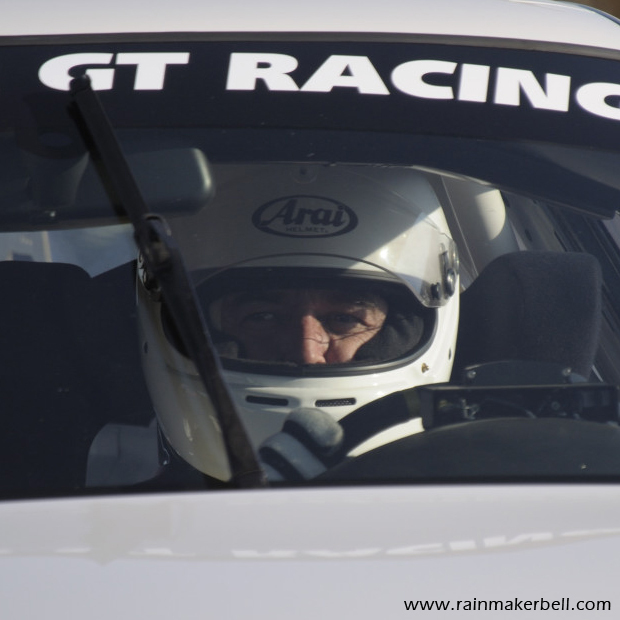 What was most outstanding about the Grand Wizard was, now you see me, now you don't, now you see me again—in your rear view mirror. 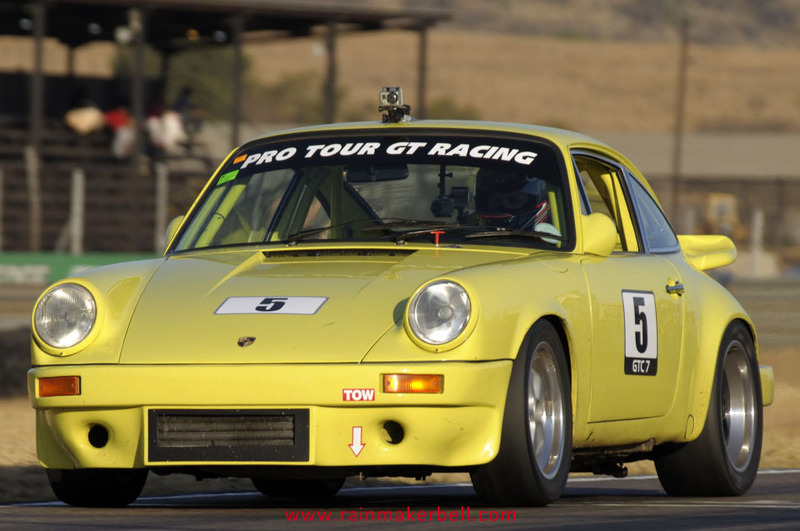 How may times can you see the same Porsche in your rear view mirror before loosing faith in yourself? 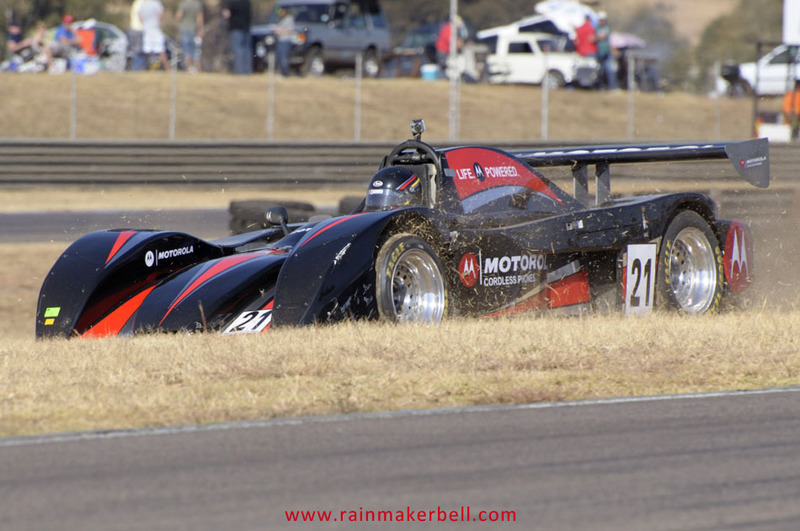 I guess only once. 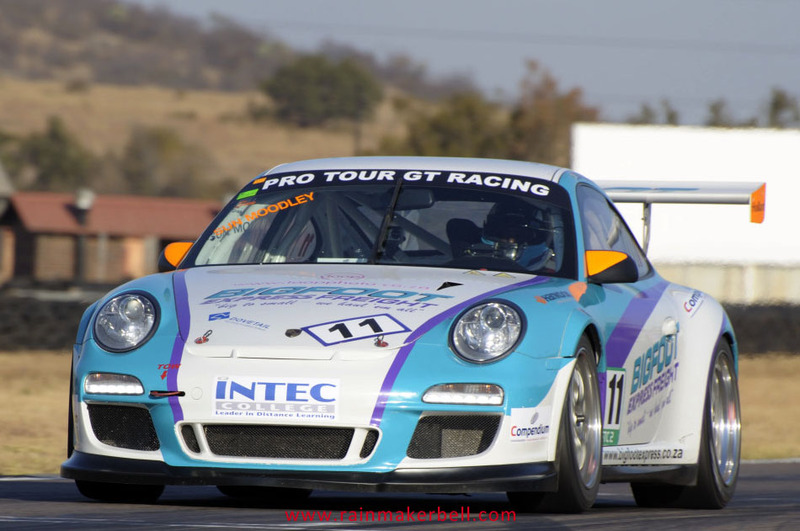 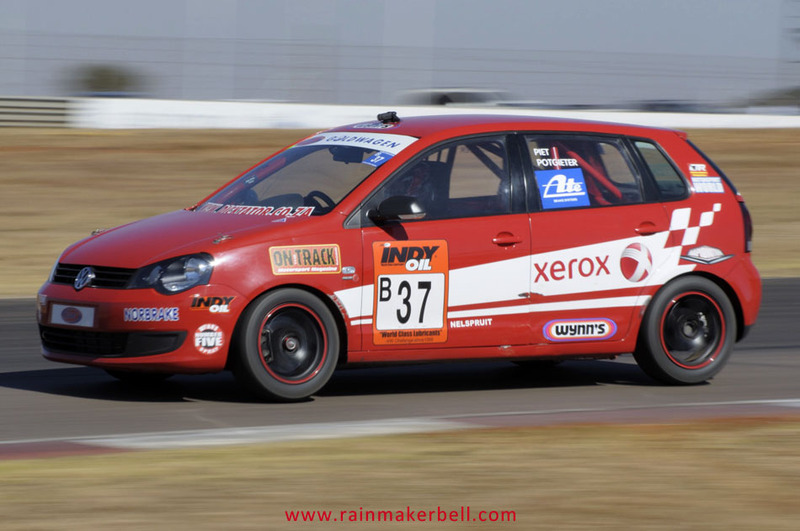 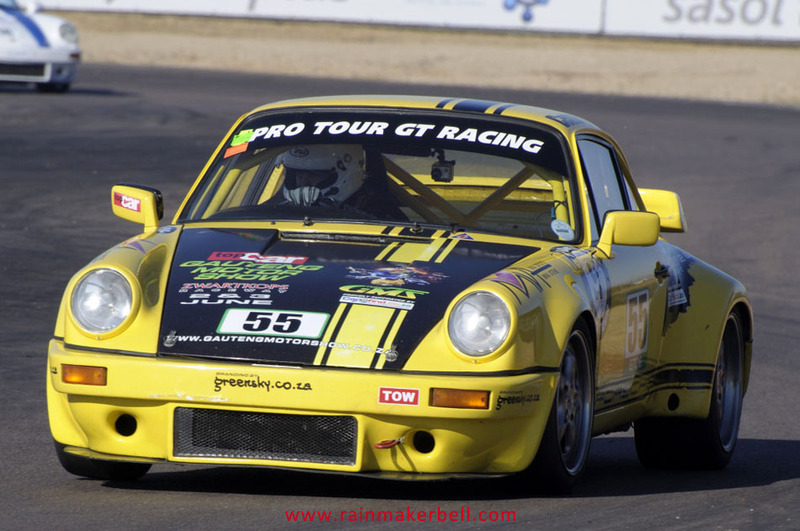 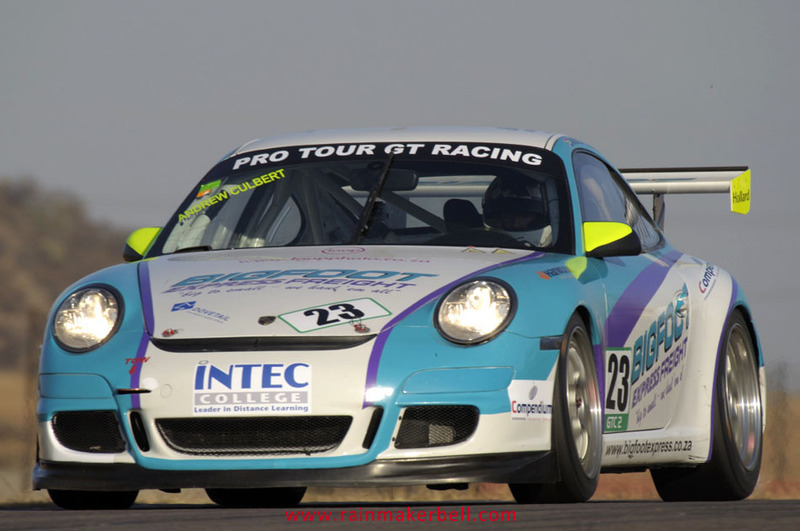 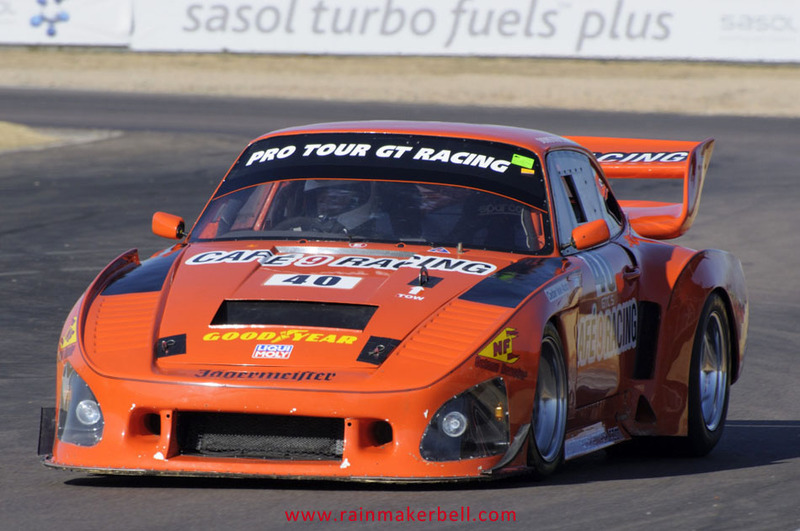 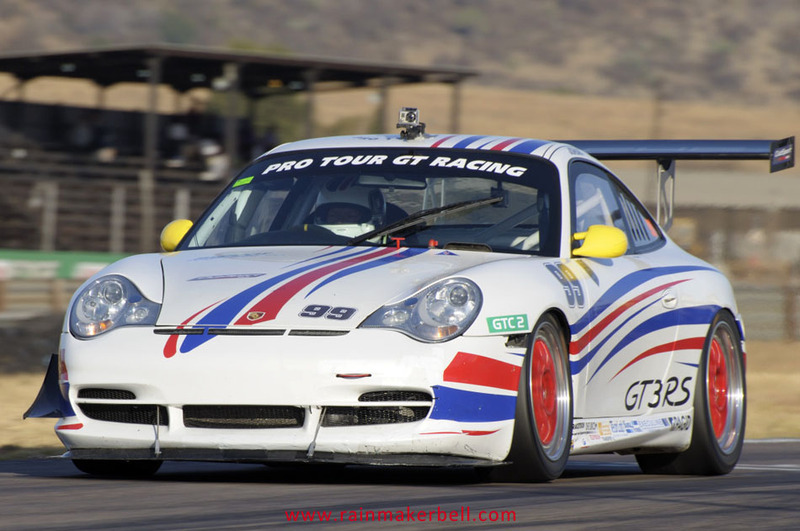 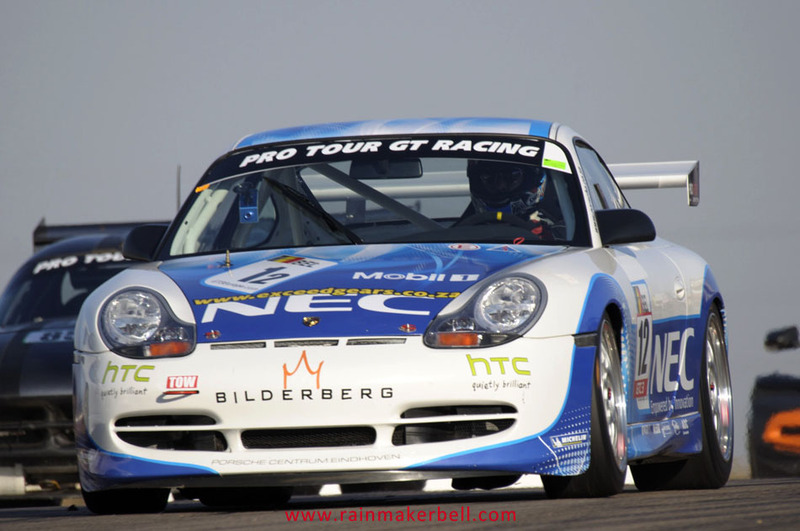 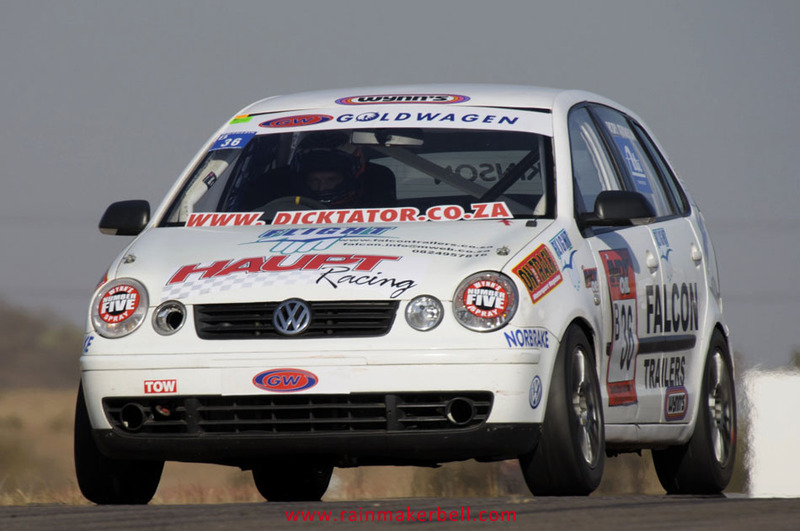 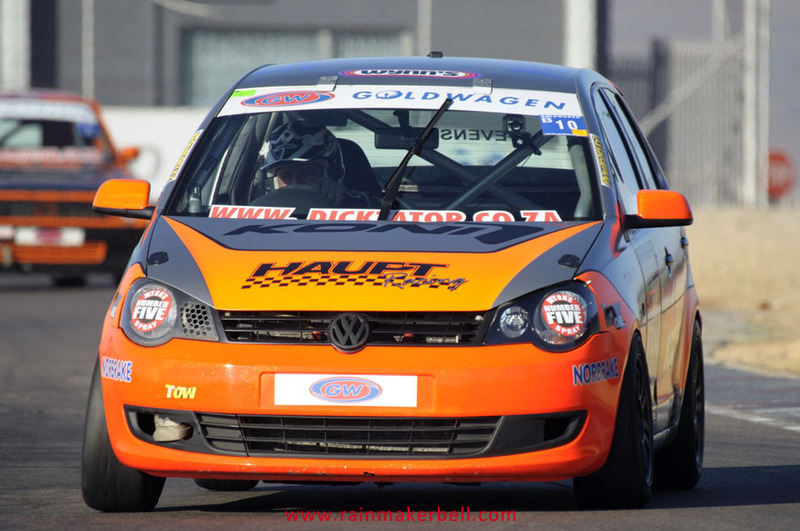 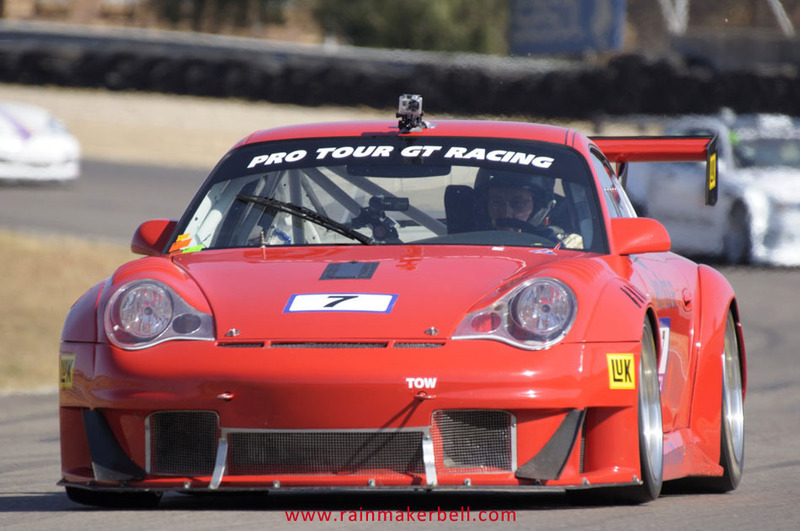 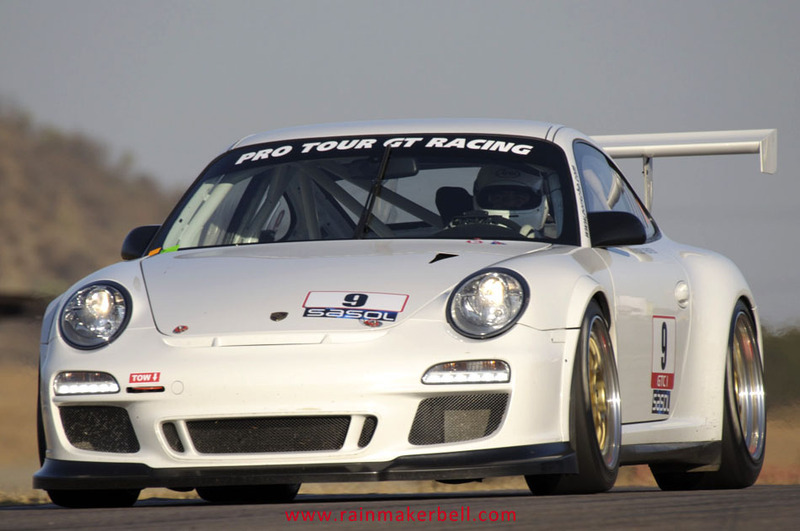 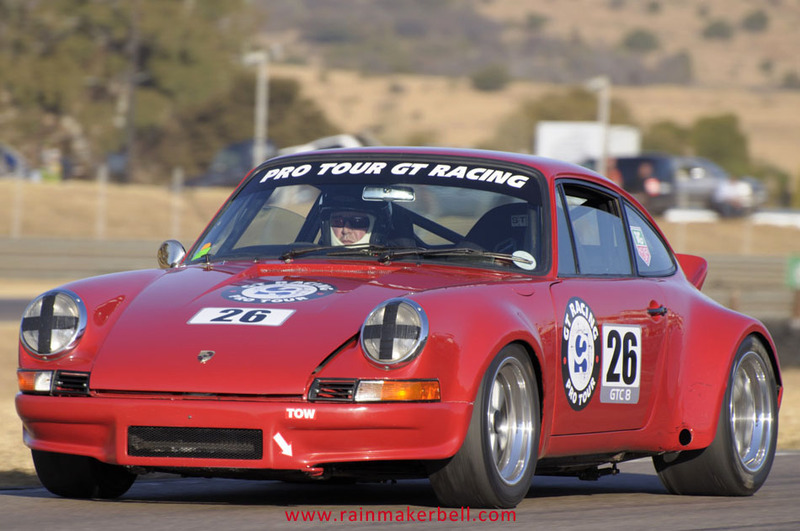 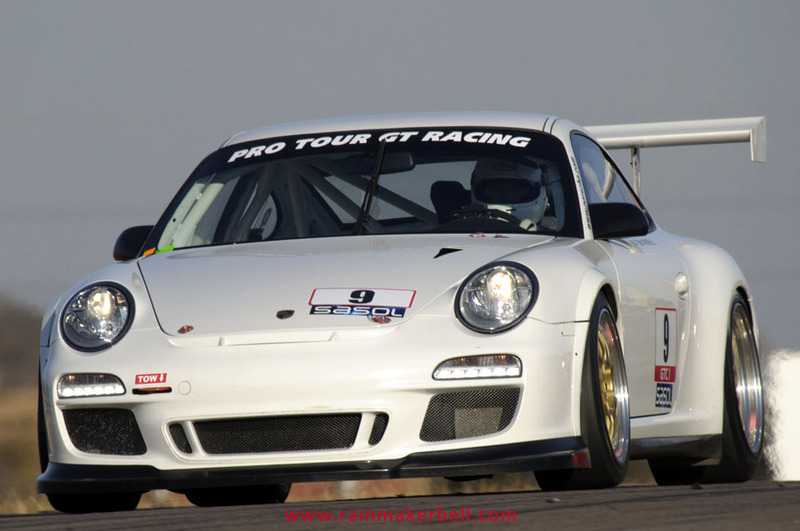 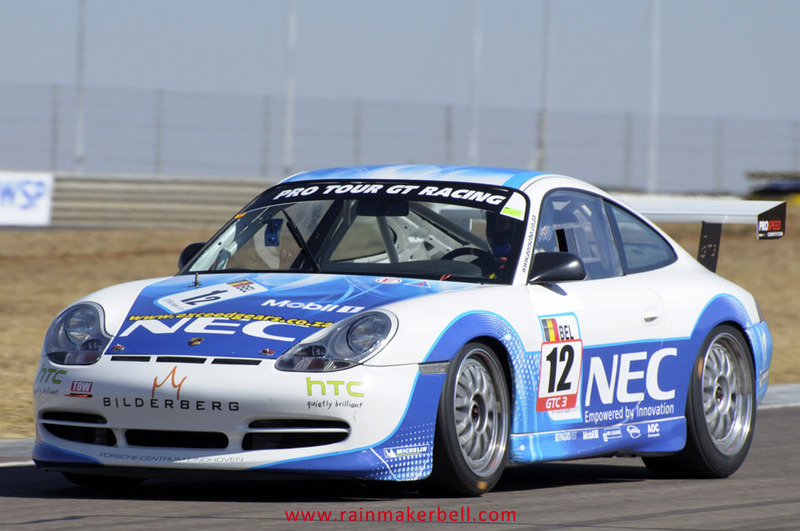 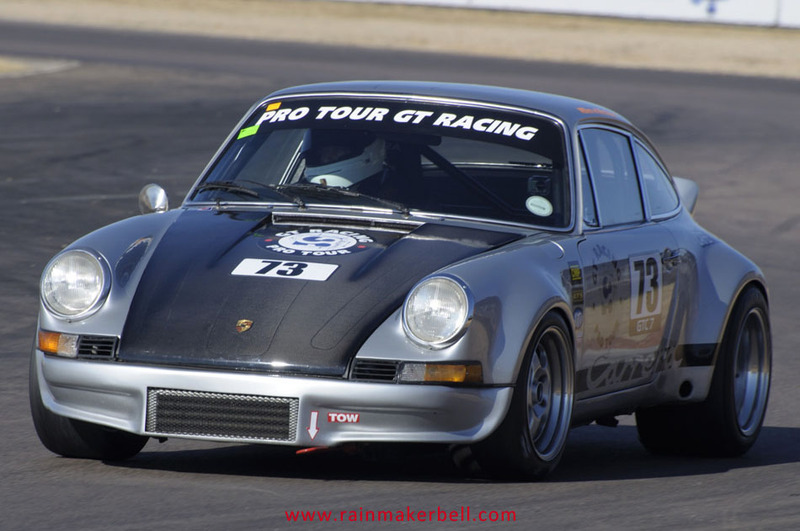 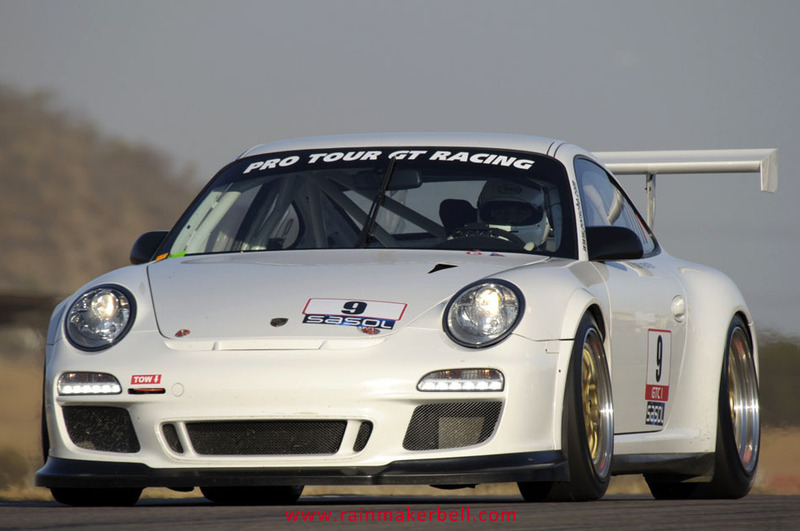 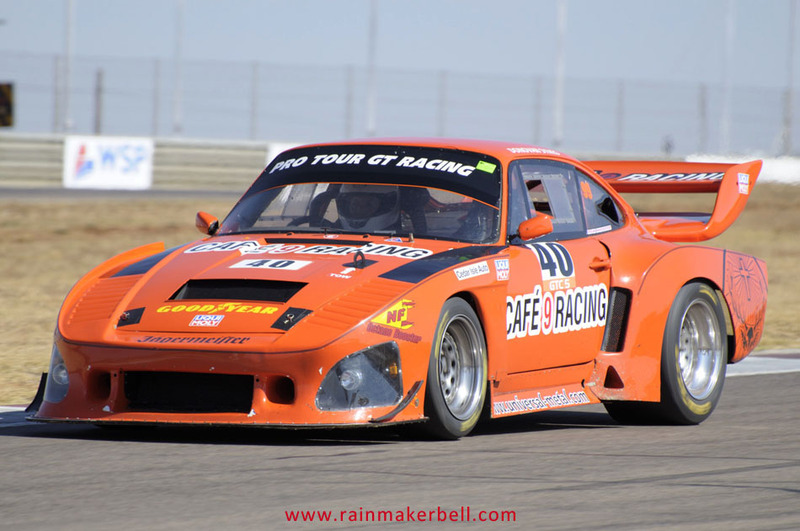 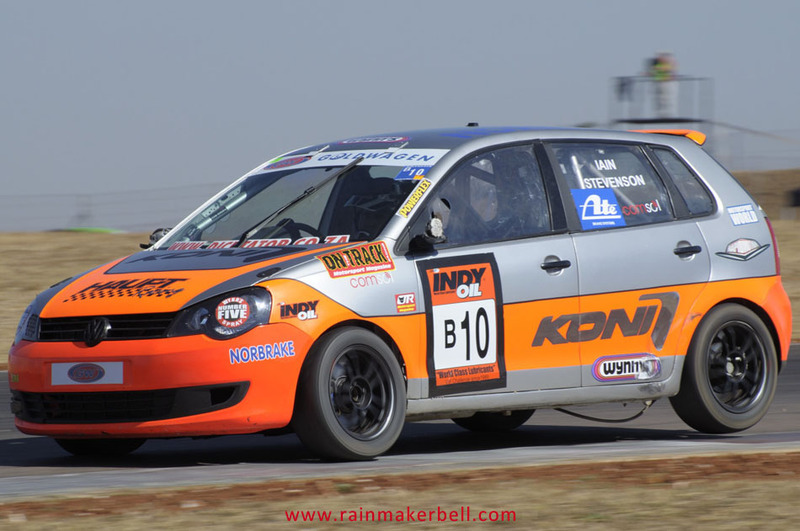 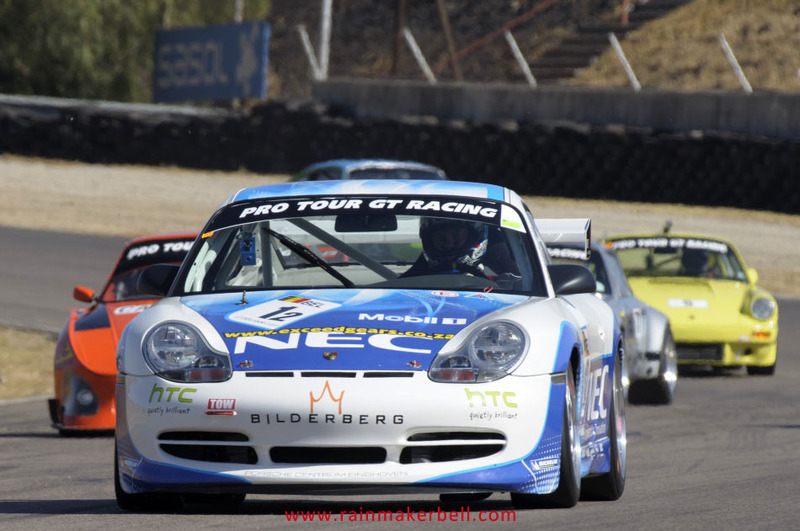 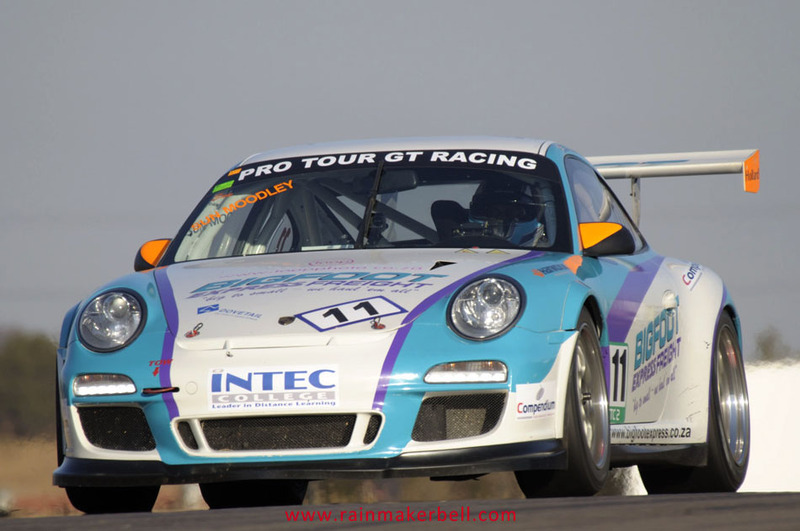 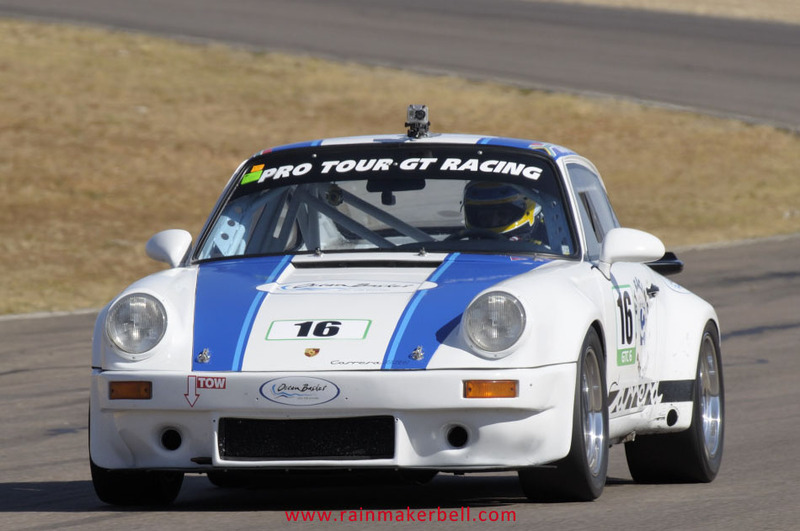 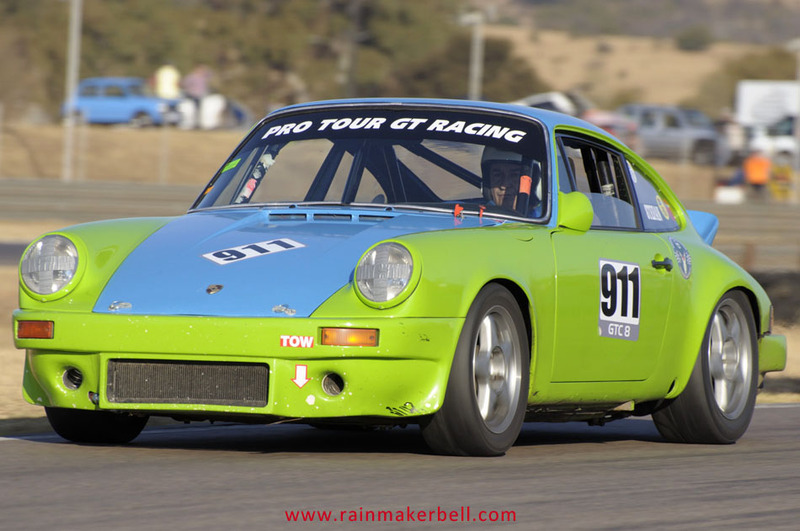 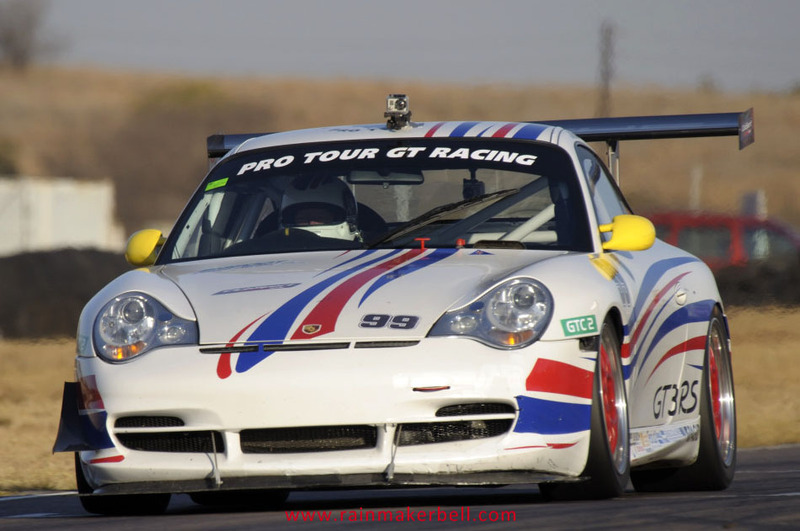 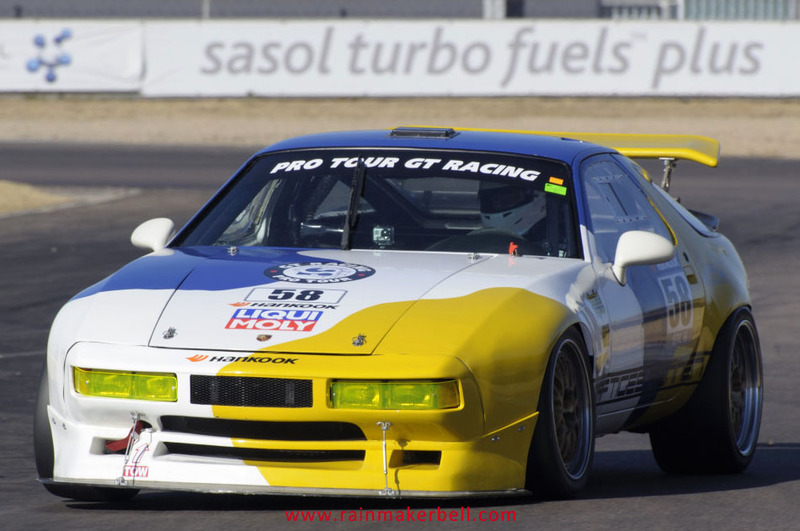 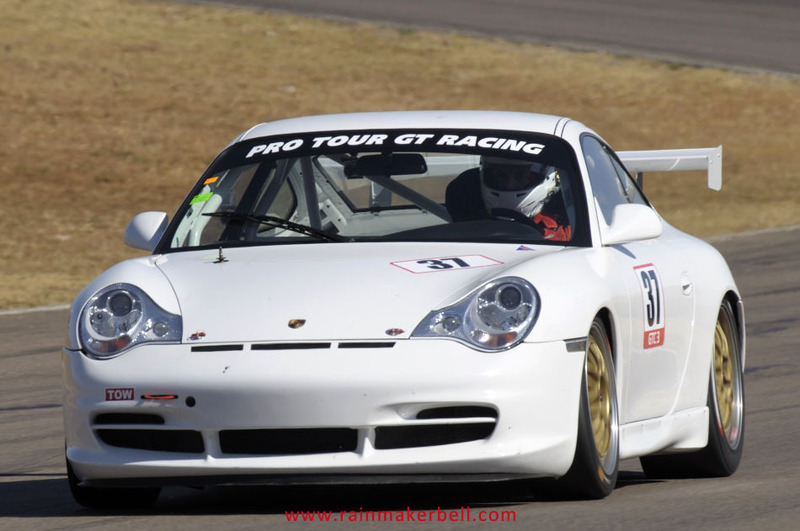 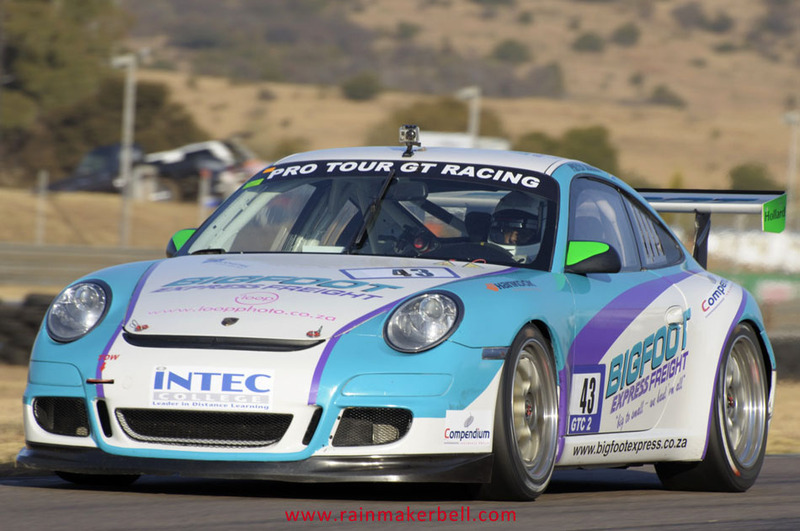 Words & Photos: Adriaan & Martine Venter (Pro Tour Series, Zwartkops Raceway, South African Motorsport, 2012/06/30, 133 images) Main Image: Toby Venter (Grand Wizard) #9, Porsche GT3 Cup, Porsche Racing SA, GT Ghallenge, GTC1.